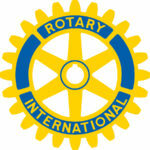 Two days away from the 33rd Radio Rotary Auction, it was time for the head honcho to step aboard. 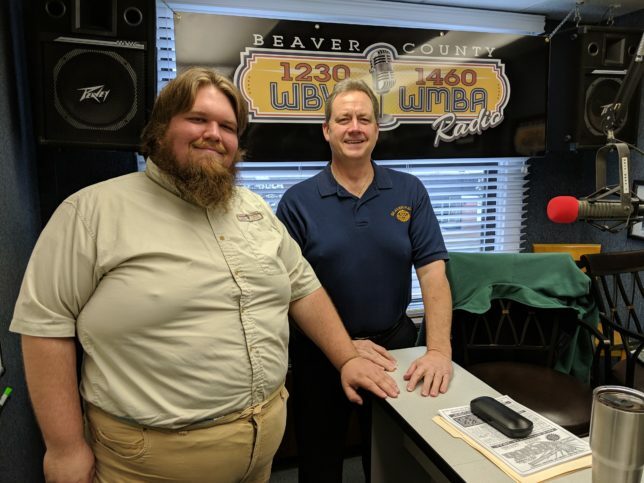 Richard A. Martin is the head of Beaver County’s Radio Rotary Auction Committee for 2019, and he joined Matt Drzik on A.M. Beaver County to talk about his role in the Rotary, the history of the auction, and the benefits that the county receives through this annual event. 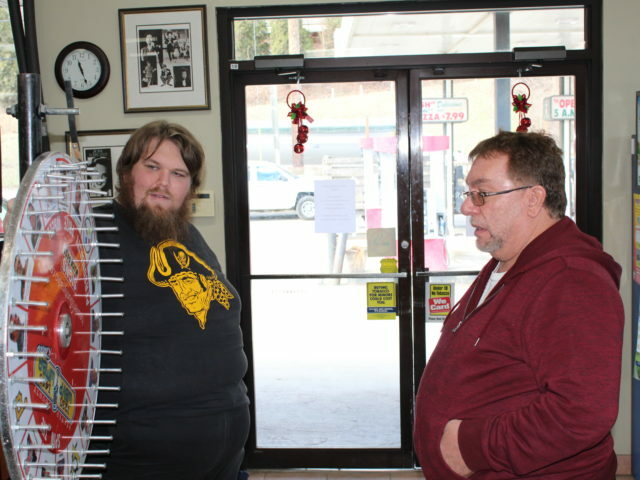 Martin is also a registered representative of Fortune Financial Services in New Brighton, an organization that also is home to several county Rotarians. 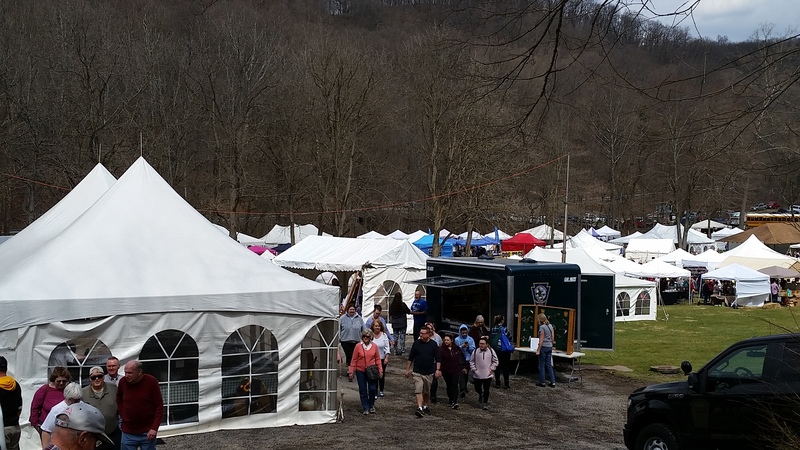 REMINDER: This year’s auction tabloid can be found on our website here. 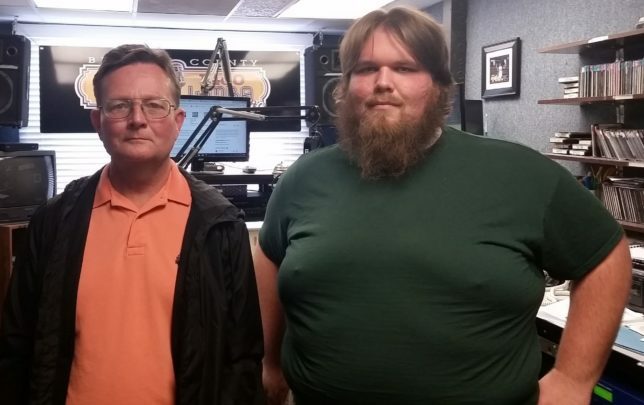 If you’d like to listen back to the interview, click on the player below. 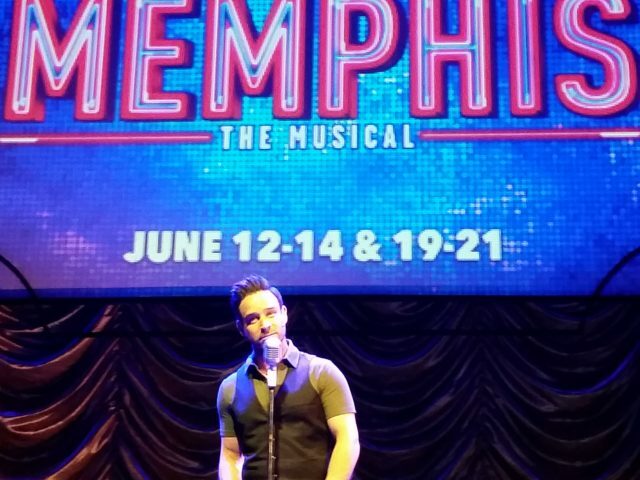 Max Lewis has quite the resume. 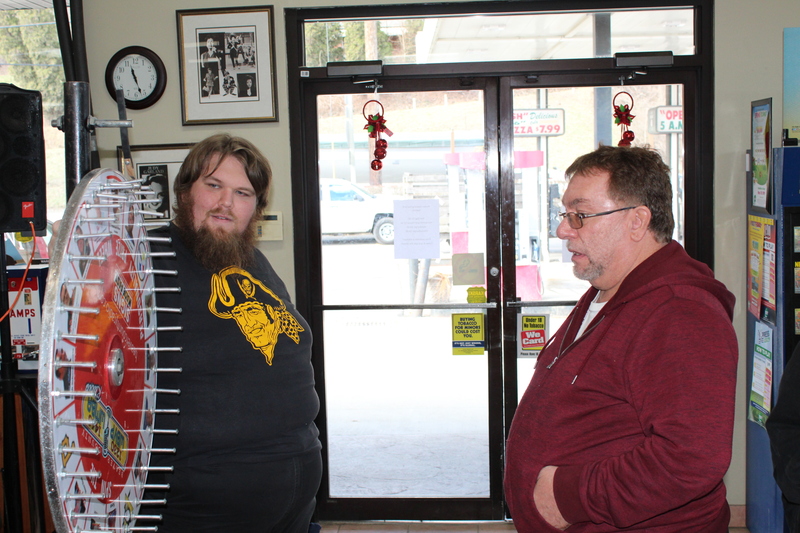 For starters, he’s an attorney at law with the Joseph Max Lewis firm in the Chippewa area. 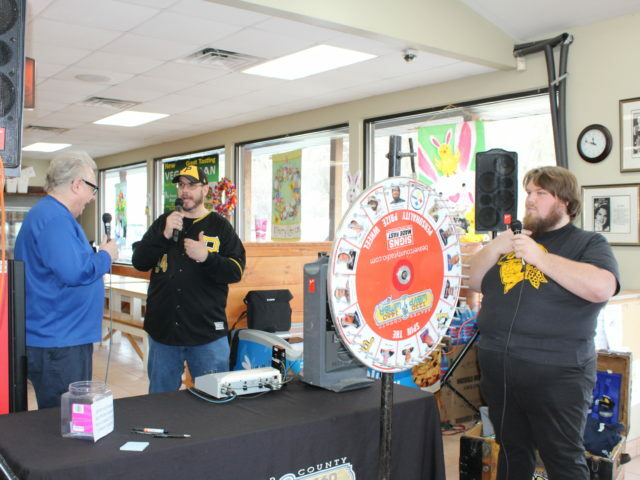 Secondly, he’s been part of the local Rotary and Radio Rotary Auction since 1989, and with the 33rd Radio Auction coming up on April 20, he sat down with Matt Drzik on A.M. Beaver County to talk about the process of bidding, donating, assisting, and making charity contributions to the Rotary. 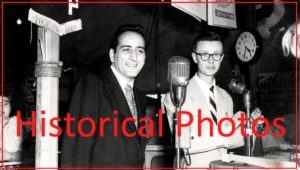 Max Lewis is also an accomplished author, whose recent book “The Diaries of Pontius Pilate” is available wherever books are sold. 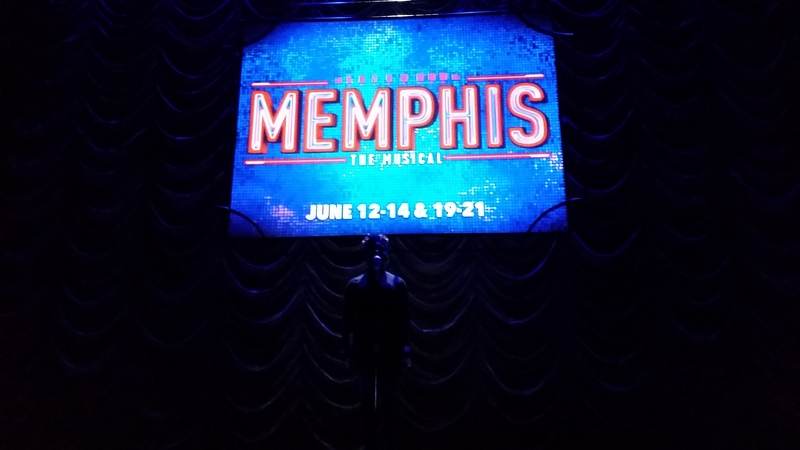 Lewis spoke about the inspiration behind his book, the planned movie adaptation, and an adventure that took him to a historic theater in Los Angeles. 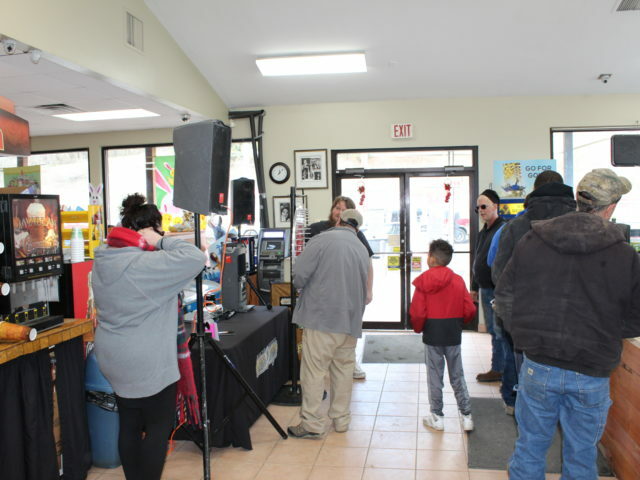 Flick Financial has been part of the Radio Rotary Auction for the last 33 years since the first one took place in the 1980s. 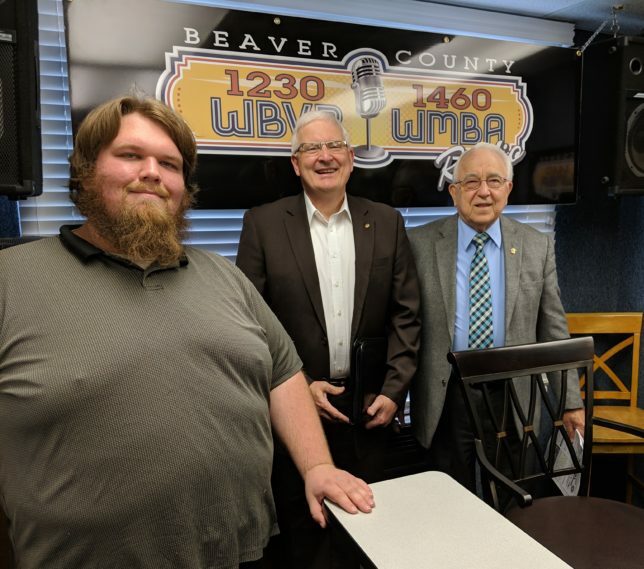 Dan and Don Flick joined Matt Drzik once again on A.M. Beaver County to discuss the 33rd edition of the Rotary Auction, which will be broadcast on WBVP & WMBA from 8:00 until 2:00 on Saturday, April 20. 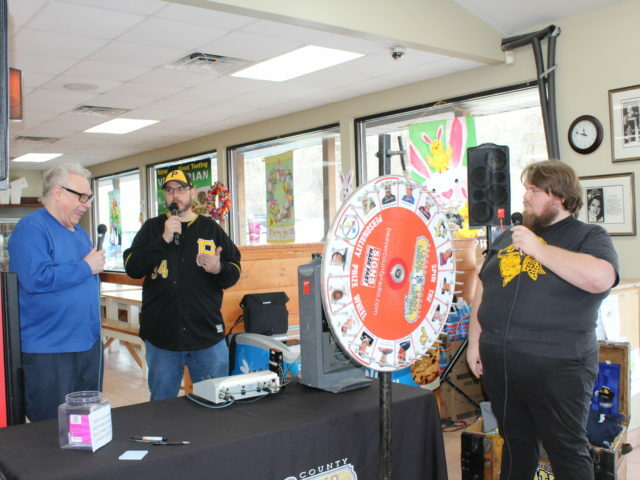 If you’d like to see the tabloid for this year’s Radio Auction, you can look at it here. 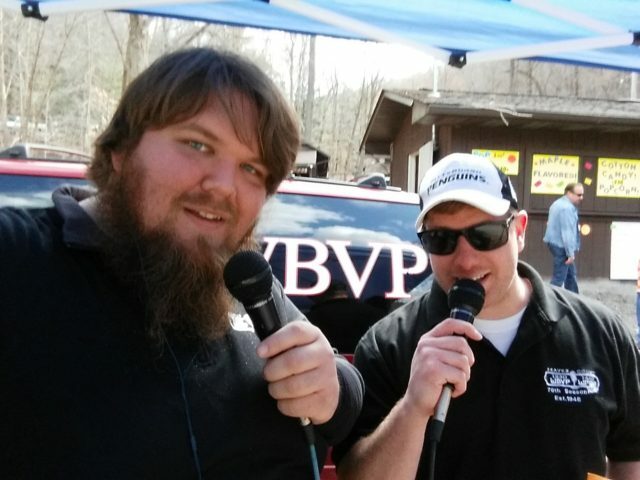 To listen back to the interview, click on the player below. 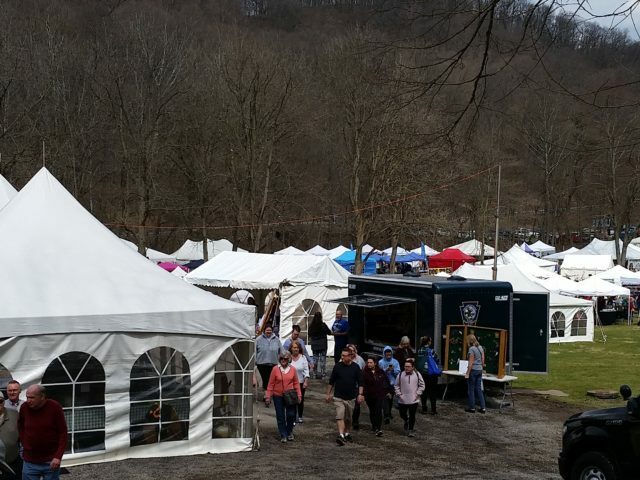 The 33rd Annual Radio Rotary Auction will be back on Beaver County Radio beginning at 8:00 AM this Saturday, April 20. 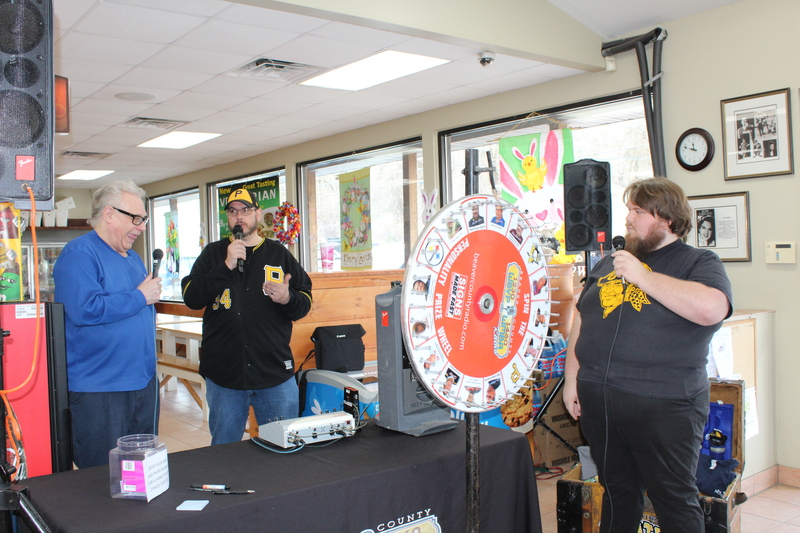 Frank Sparks and Gary Miller will be broadcasting live with Dr. Paul Caton from Caton Chiropractic at the Eaton Corporation in Beaver, and listeners can bid on some great prizes given and donated by great local charities. 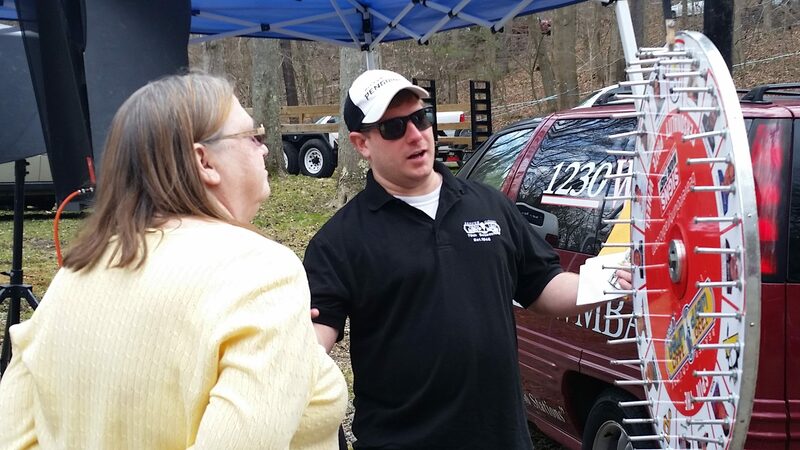 On April 15, Dr. Caton stopped by A.M. Beaver County to give a preview of this year’s auction with Matt Drzik. 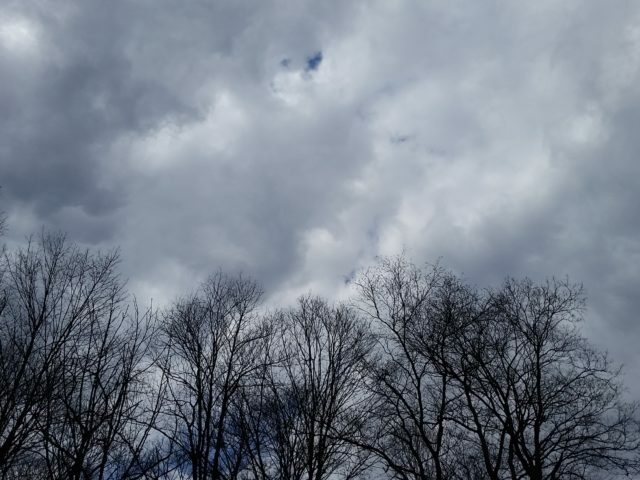 If you’d like to listen back to it, click on the player at the bottom. The tabloid for this year’s Rotary Auction can be found later today at bfwater.net or at beavercountyradio.com. 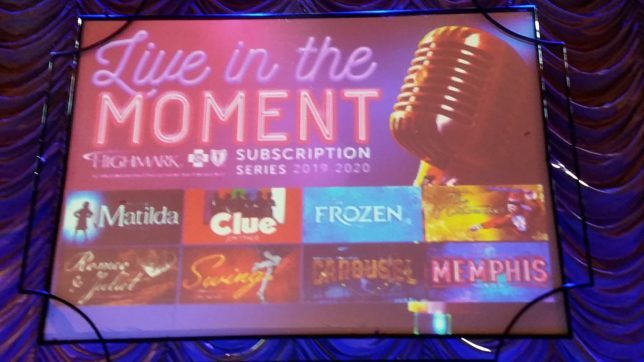 So is it “live” as in “living” or “live on stage”? 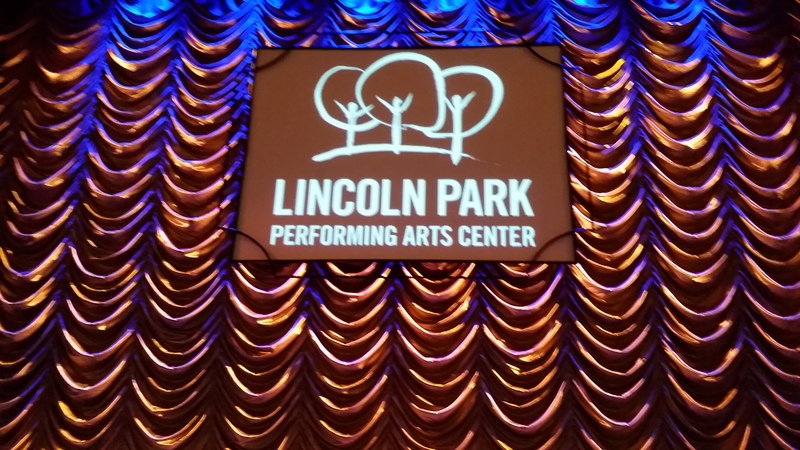 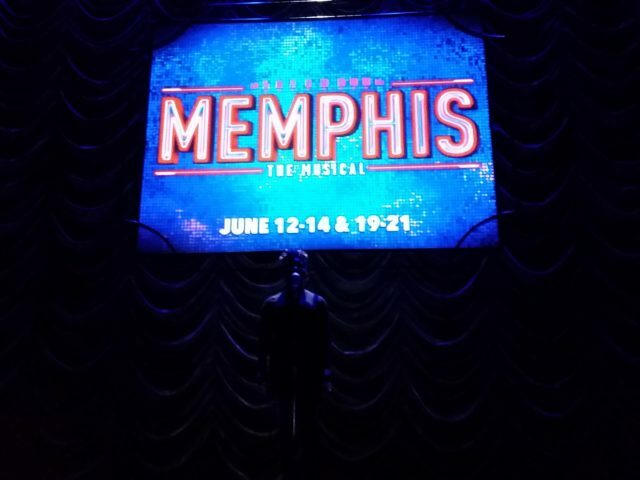 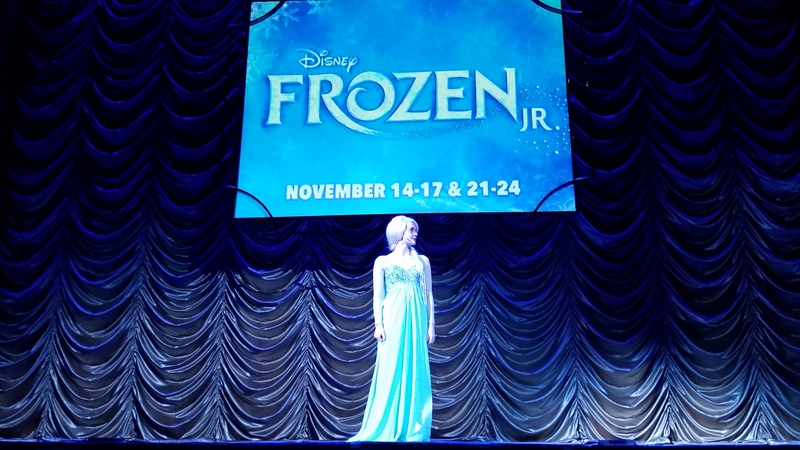 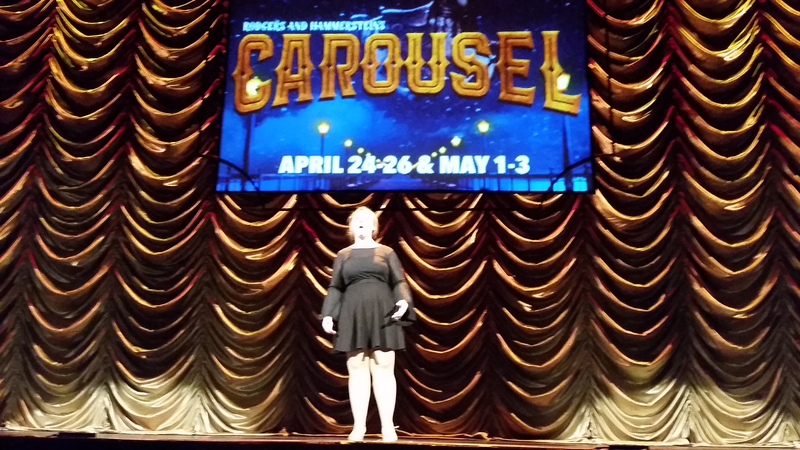 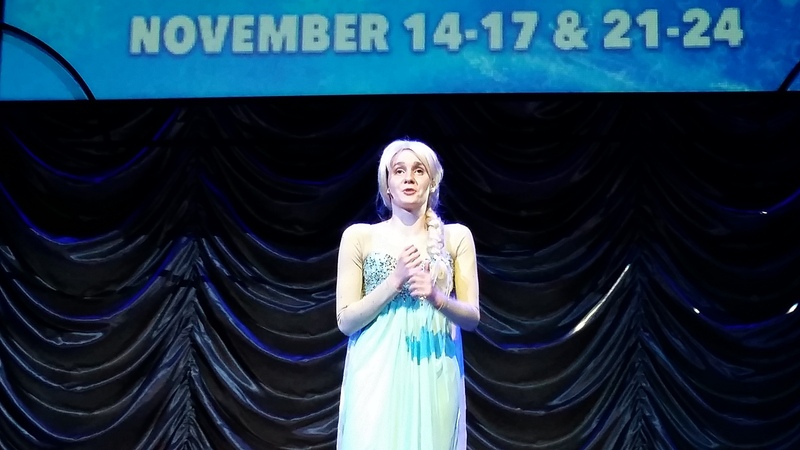 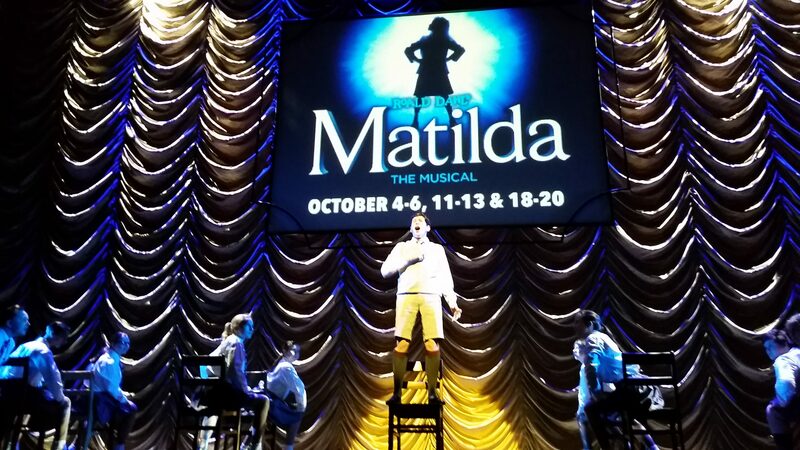 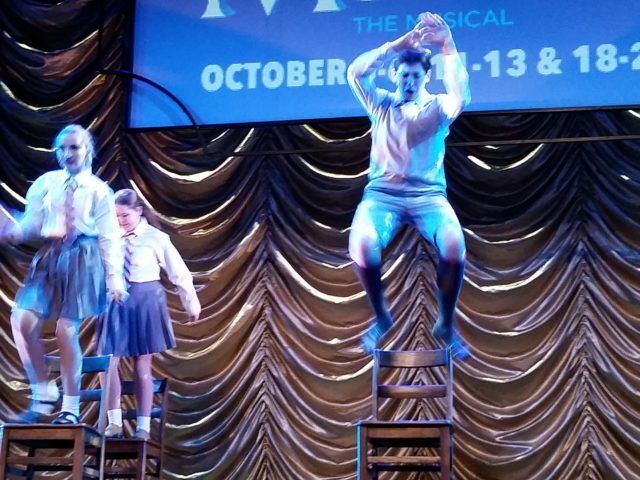 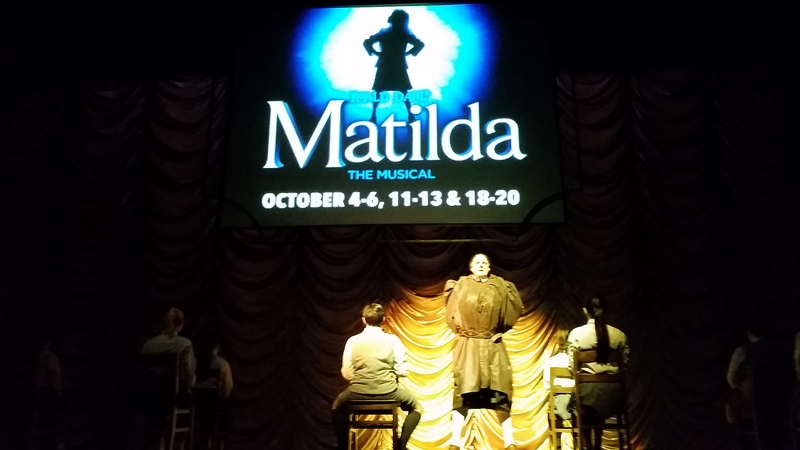 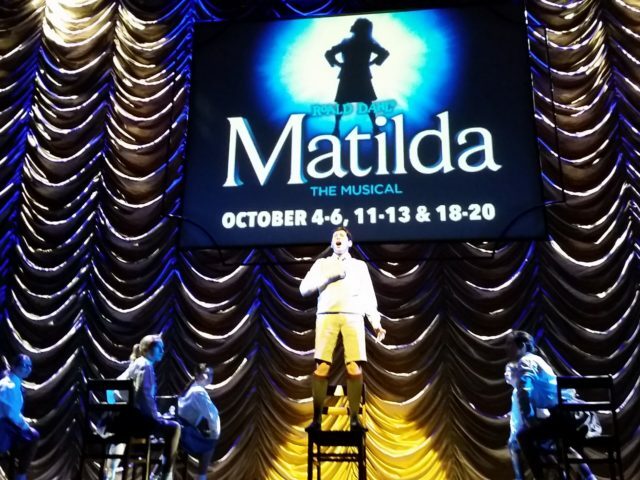 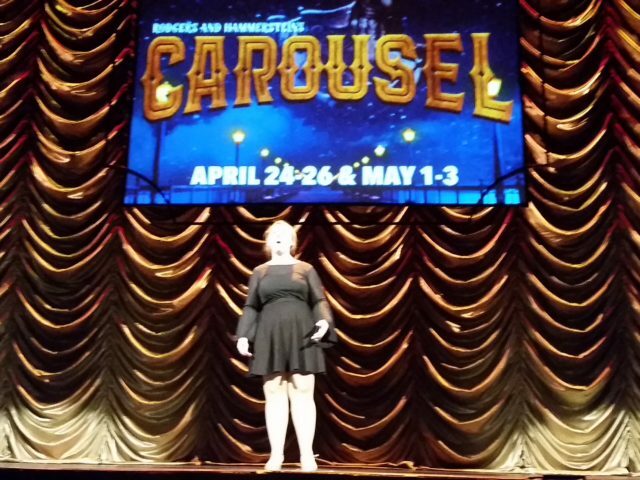 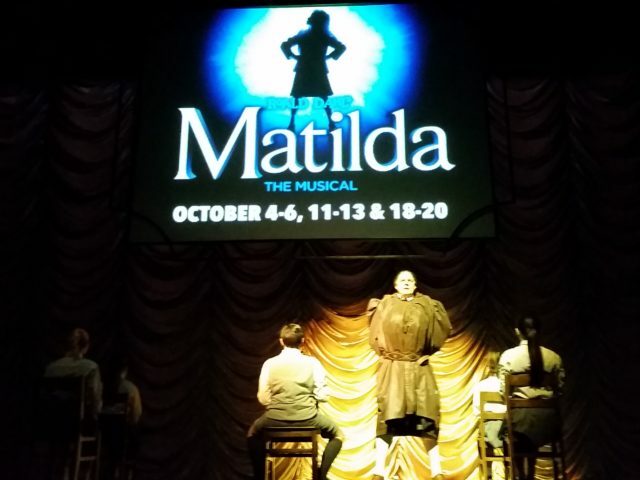 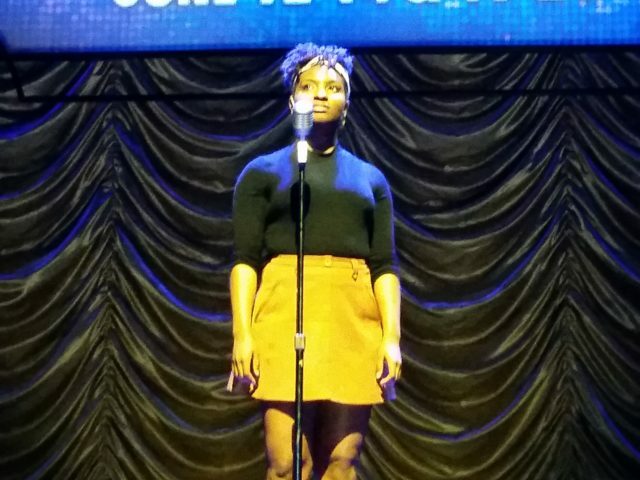 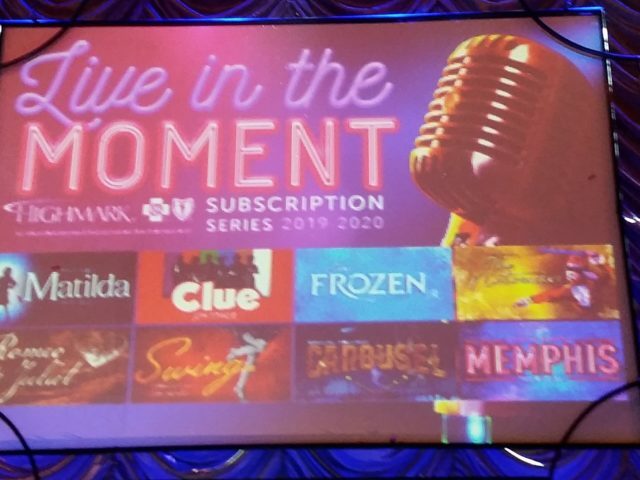 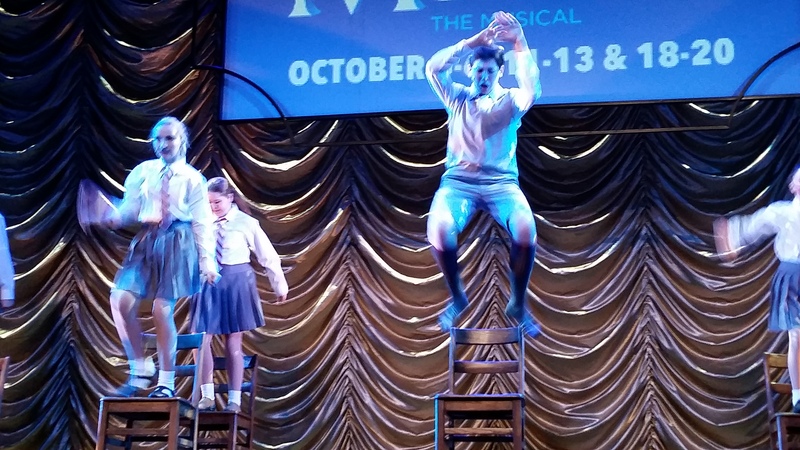 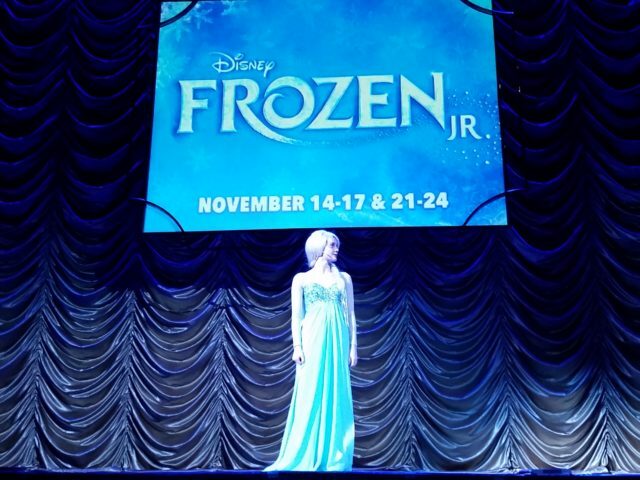 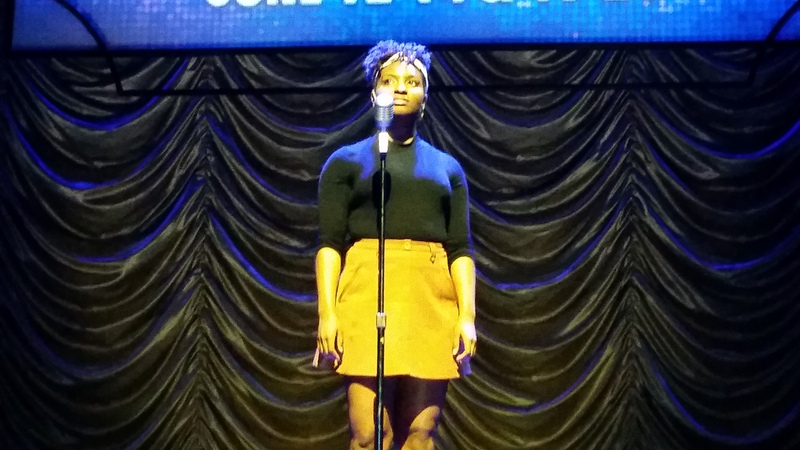 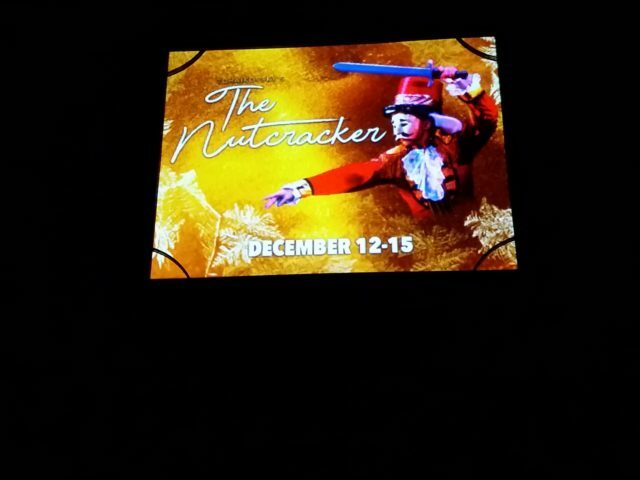 Regardless of how you pronounce it (even though it is the former), “Live In The Moment” is the theme for the 2019-20 Highmark Subscription Series of shows coming to the Lincoln Park Performing Arts Center next season. 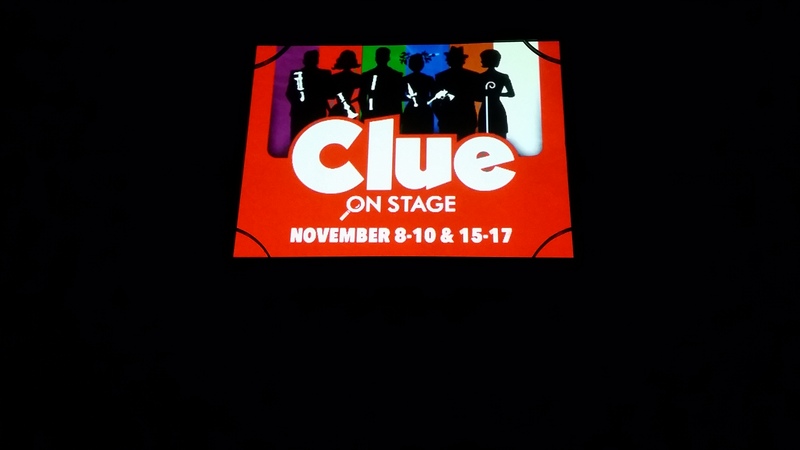 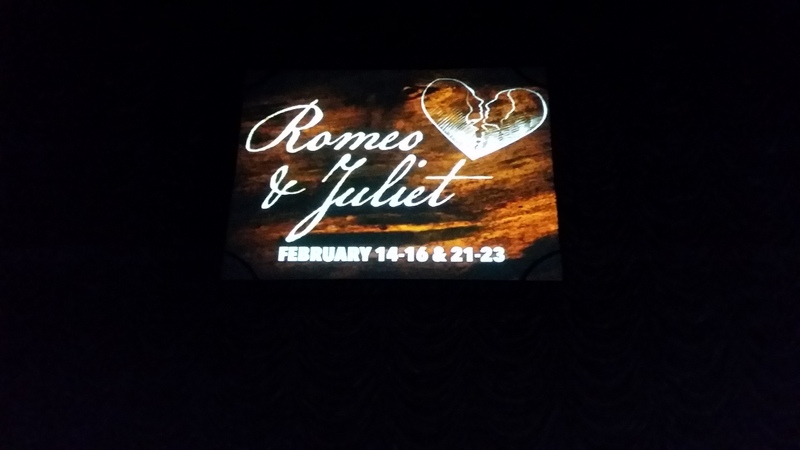 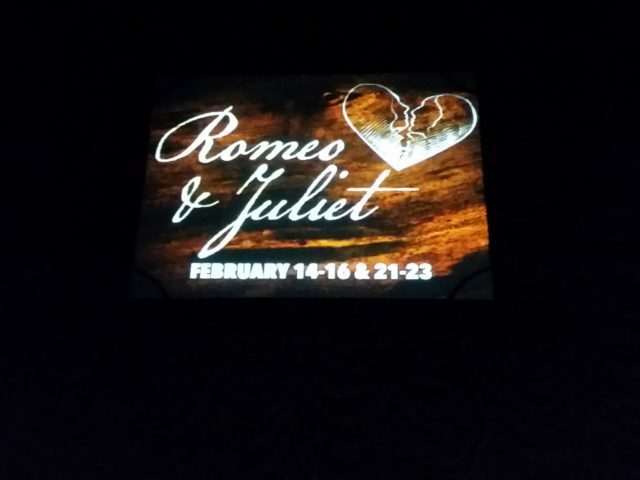 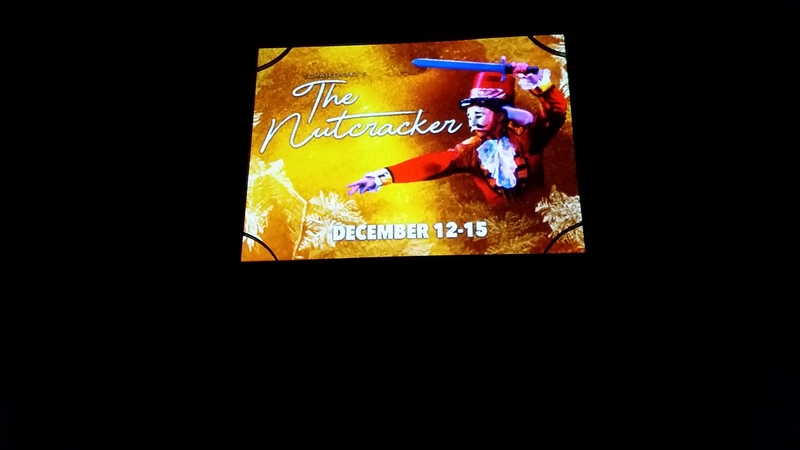 The announcement was made in front of a raucous student-majority crowd, who saw a presentation that instead of using an announcer in previous years, relied solely on live performance, soundtrack, and a visual screen to make the announcement. 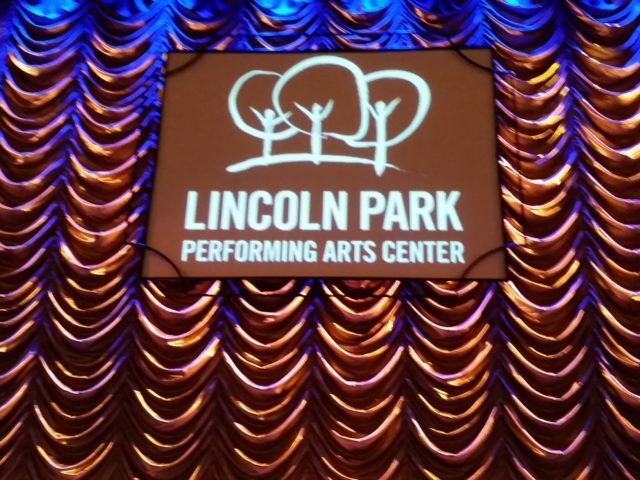 For more information on the upcoming Subscription Series, check out Lincoln Park’s website. 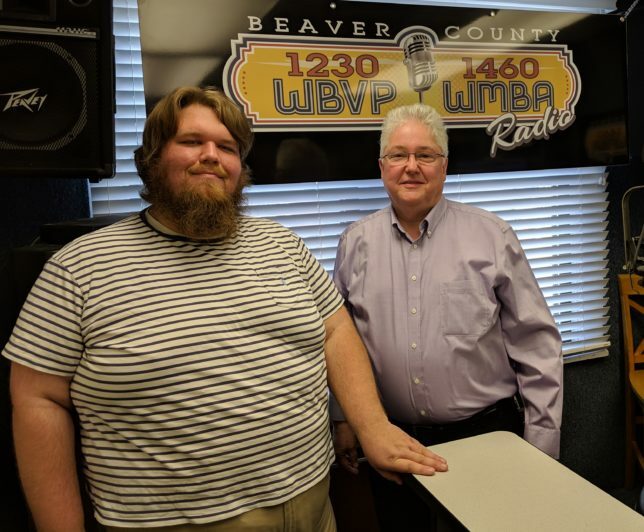 Every month, Dr. Peter Birchler from the Chiropractic Health Center in Chippewa hosts “People Purpose Planet” along with Matt Drzik on A.M. Beaver County. 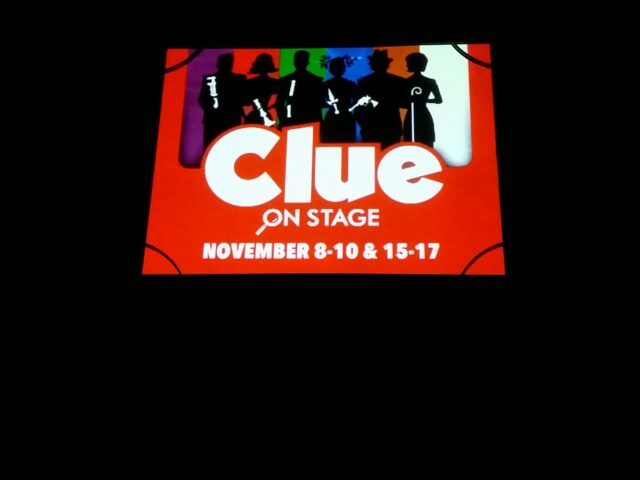 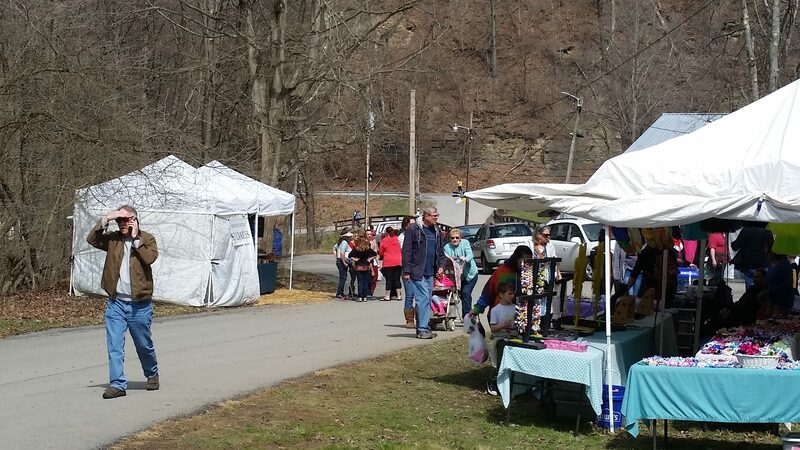 The show highlights those who run or help with volunteer/non-profit organizations in Beaver County. 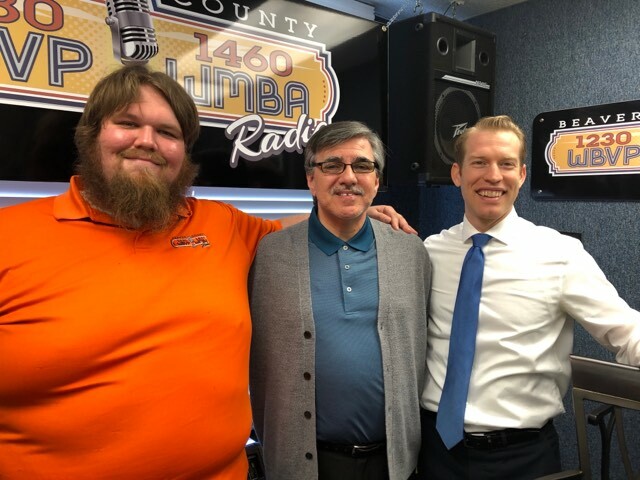 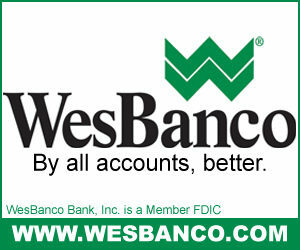 This month, Dr. Birchler invited Mike Rubino from the United Way of Beaver County, and Mike spoke about many of the different events and programs that the organization helps out with, including Scouting For Food (currently ongoing), the Wounded Warrior Project, and the Beaver County 2-1-1 system. 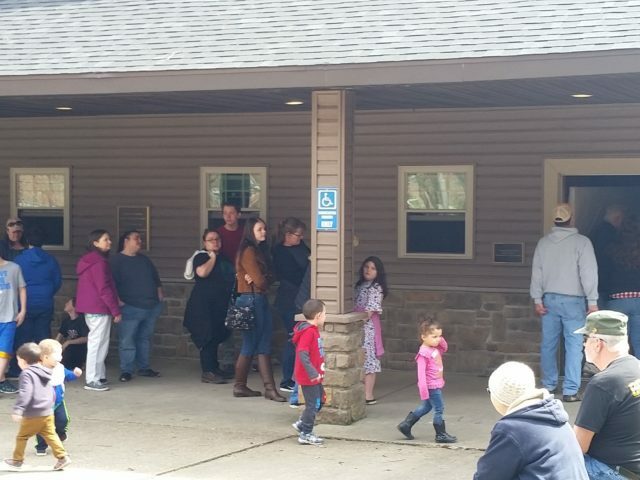 All proceeds from sessions at the Chiropractic Health Center during April will be going to the United Way of Beaver County. 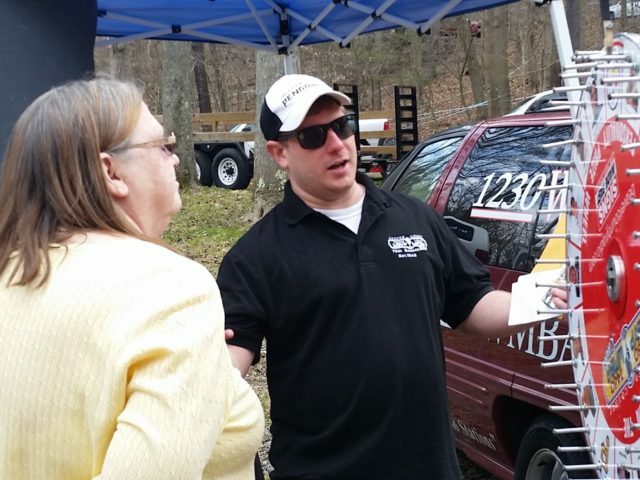 If you missed the interview from earlier or would like to view it again, check out the Facebook feed below! 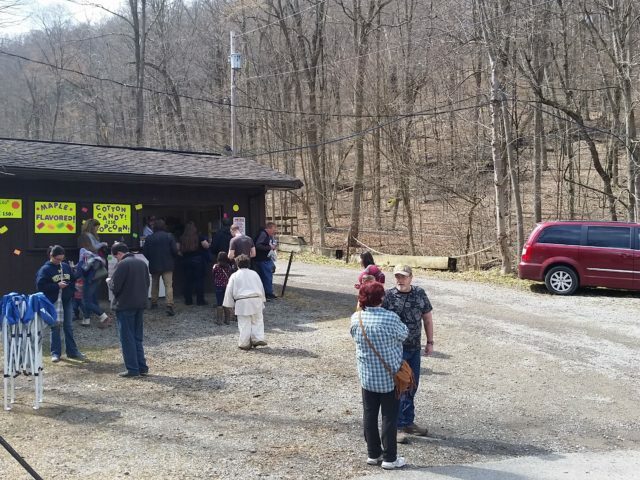 After a few years of rain and snow, the sun finally dried up the water and came out to play at Brady’s Run. 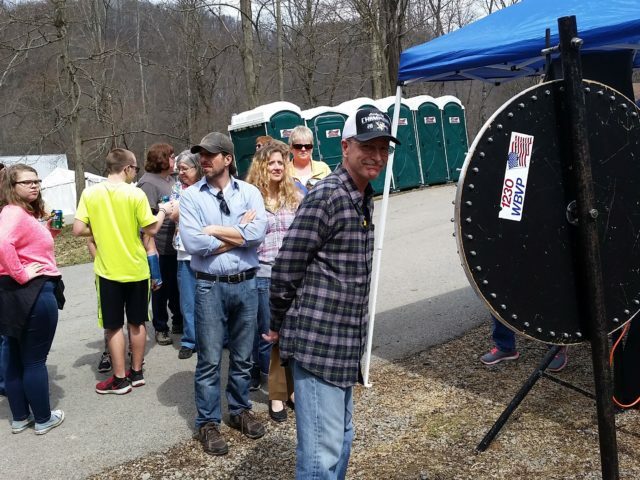 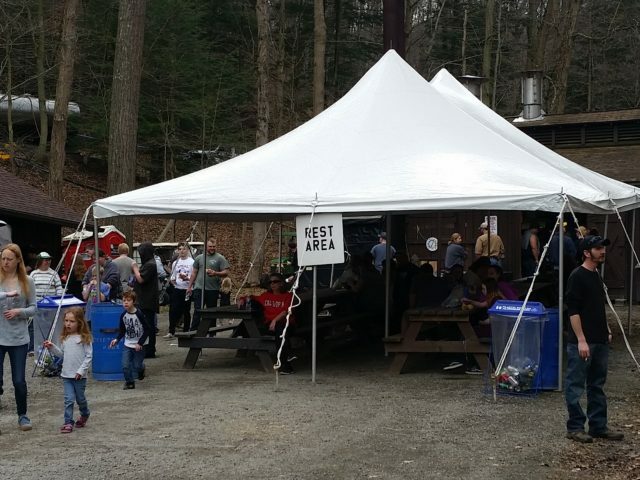 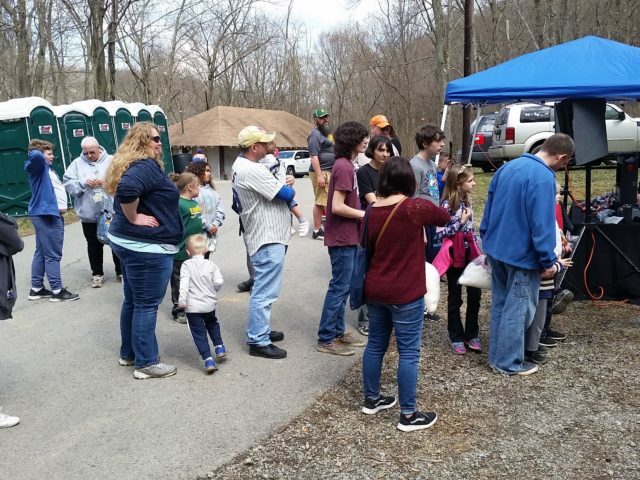 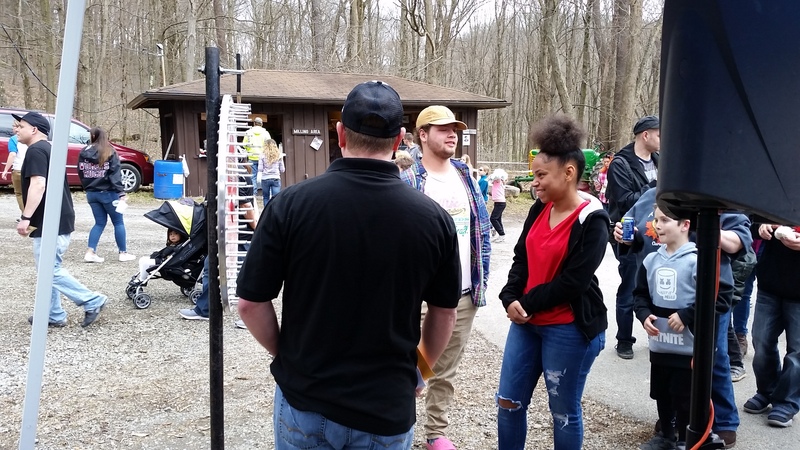 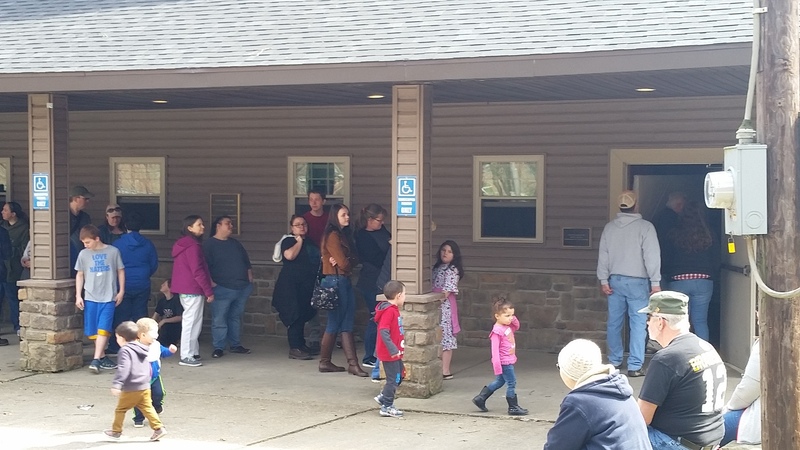 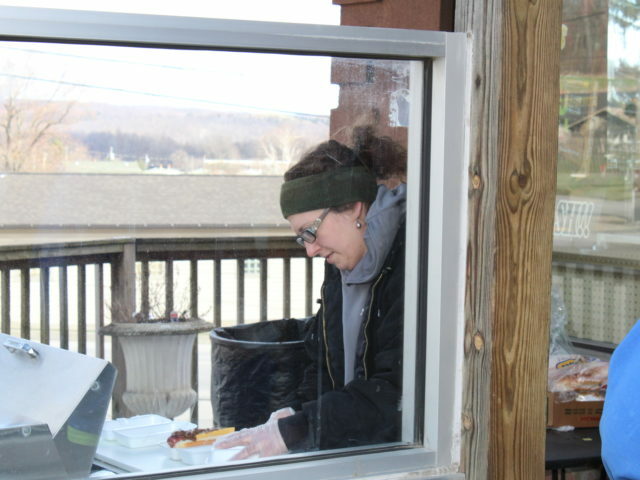 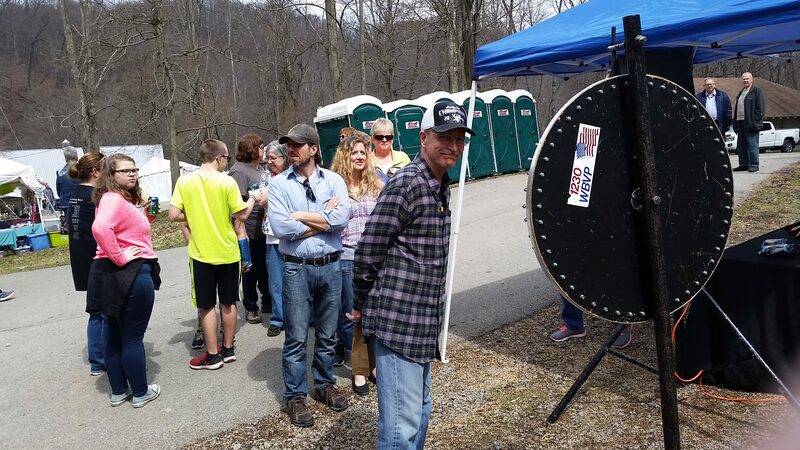 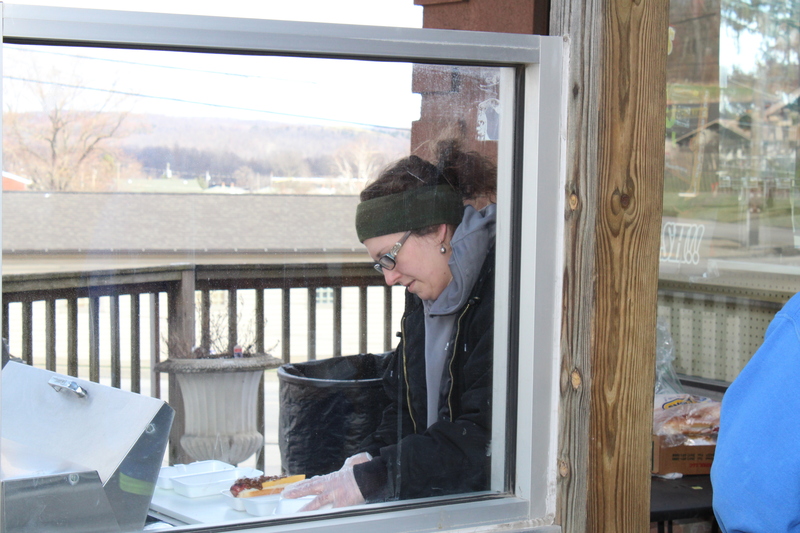 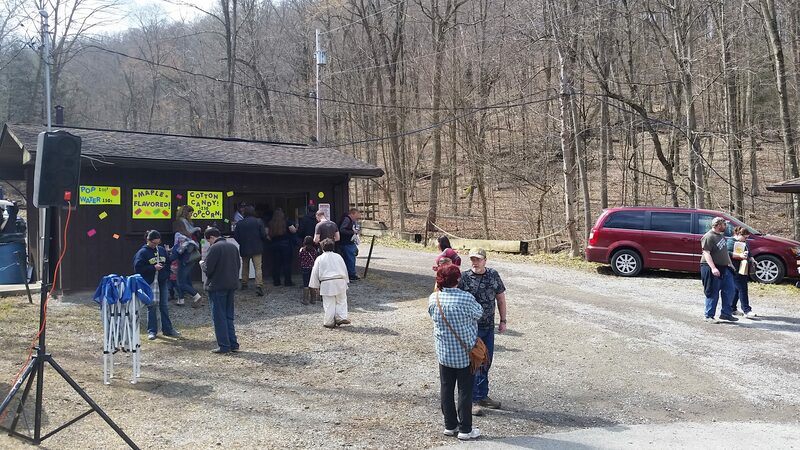 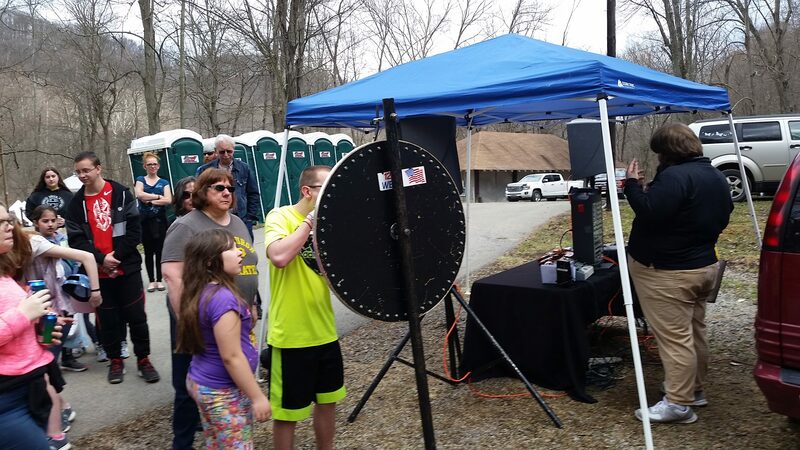 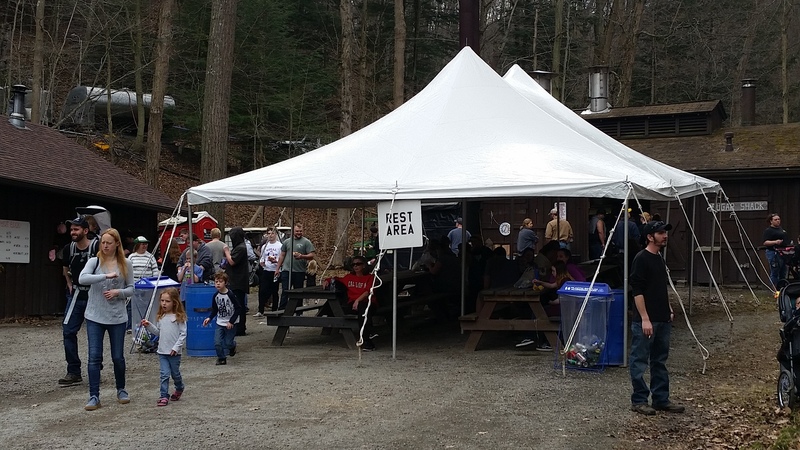 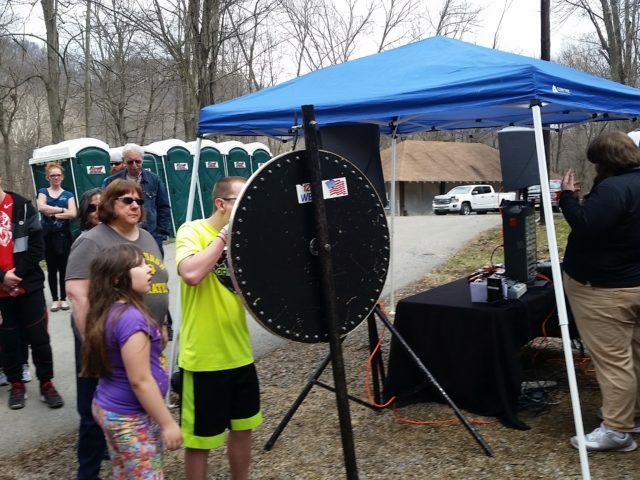 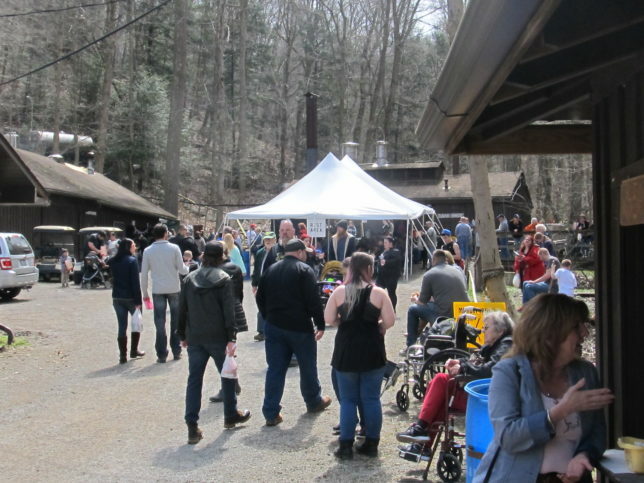 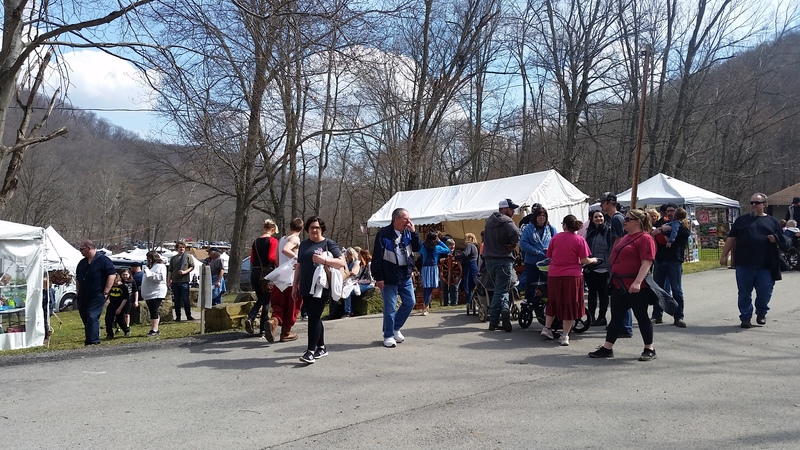 The sun wasn’t alone; hundreds of patrons from Beaver County and elsewhere descended upon Brady’s Run Lodge for Day 1 of the 42nd Annual Maple Syrup Festival. 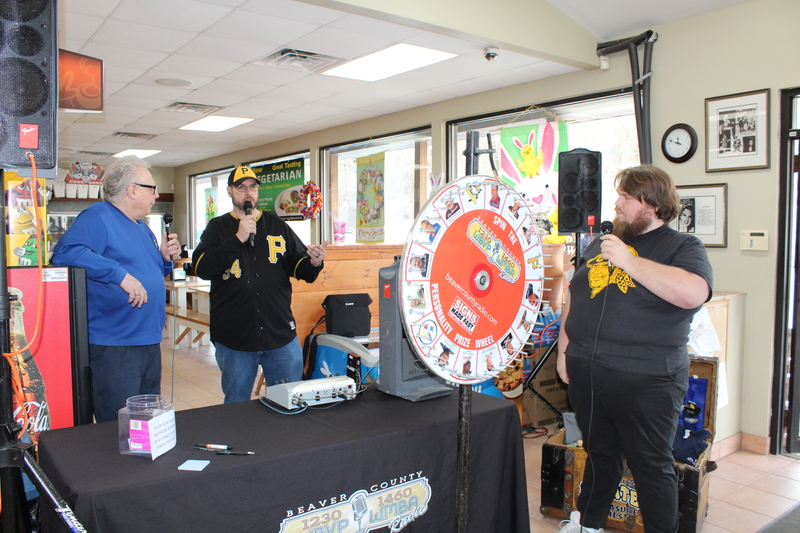 As always, Beaver County Radio came out to play–or at least let others play–with the Prize Van and Personality Prize Wheel. 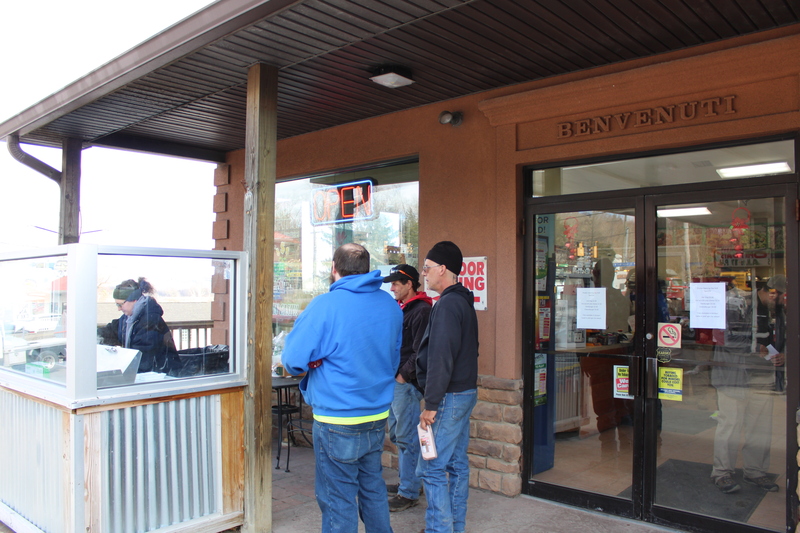 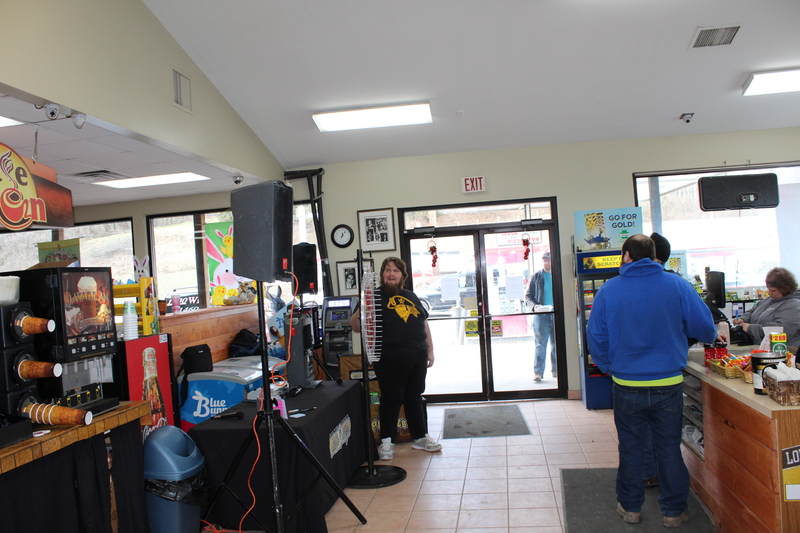 Matt Drzik and Gary Miller kept the action going, making sure that everyone got a bag of Herr’s chips while checking in with JD Merkel on Solid Gold Saturday Afternoon. 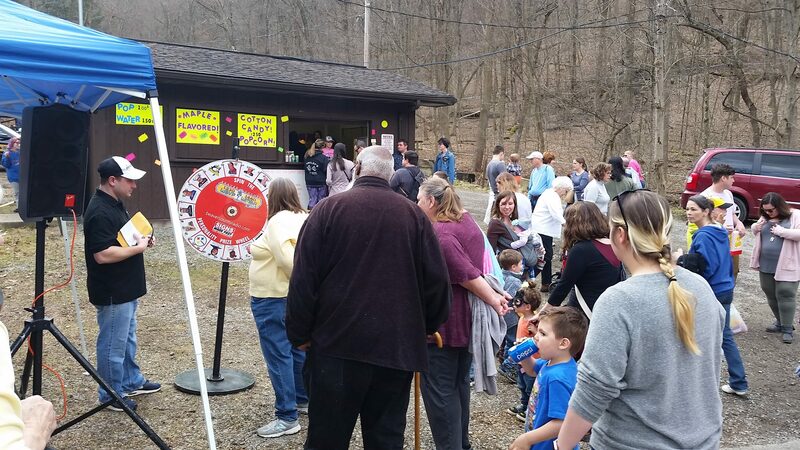 Tomorrow the fun continues as Pat Septak and Zach Ulrich will be with the van and wheel from 1 until 4 PM, so stop out to the 42nd Annual Maple Syrup Festival! 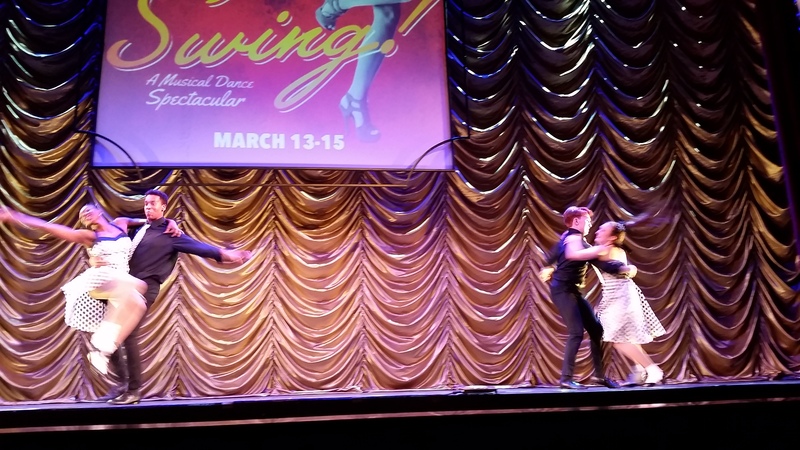 And if you missed the action from Day 1, check out these pictures! 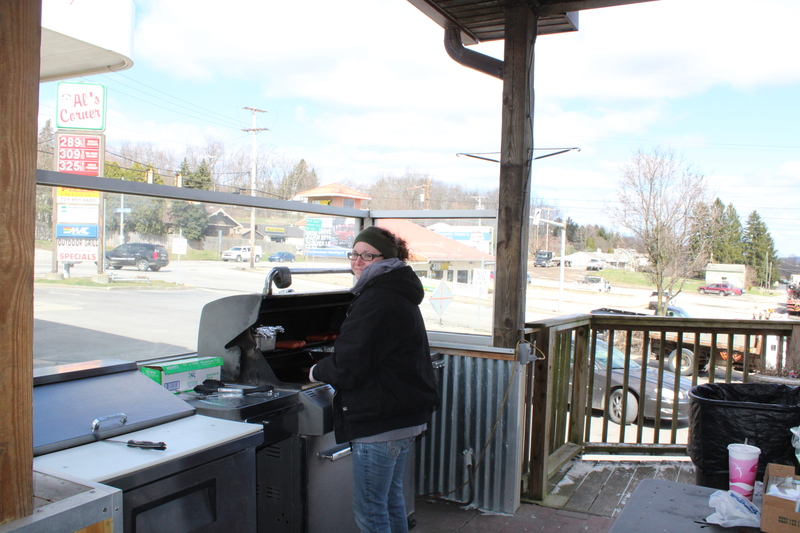 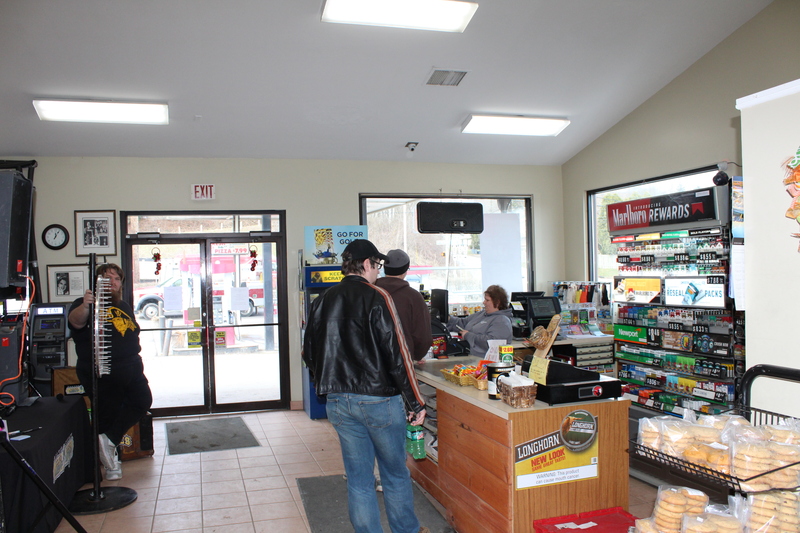 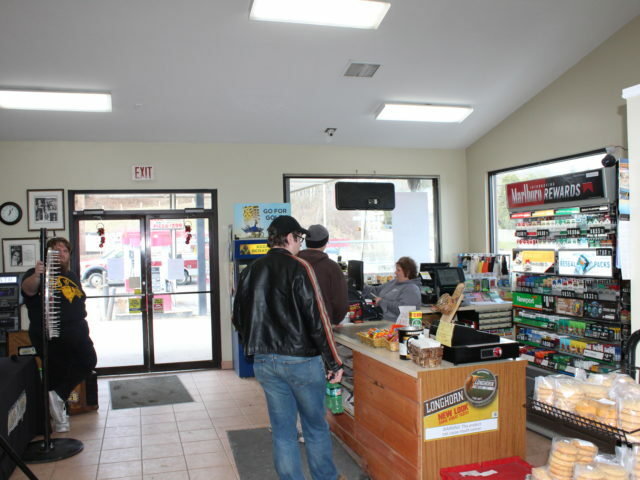 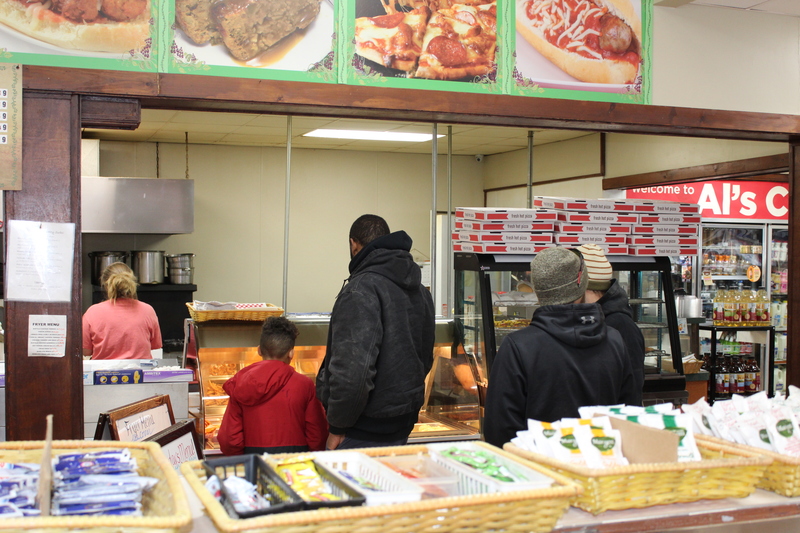 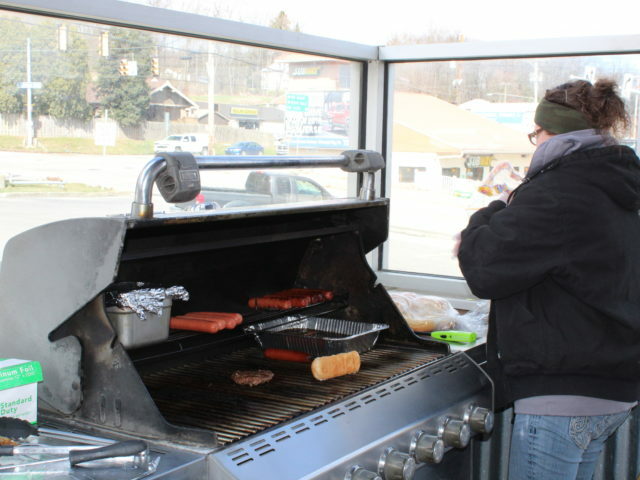 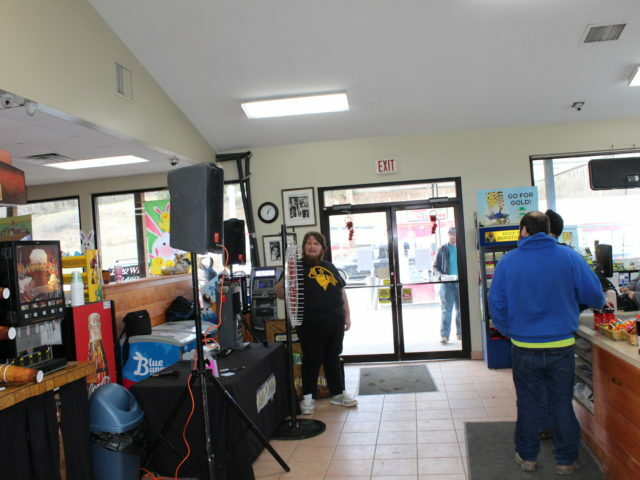 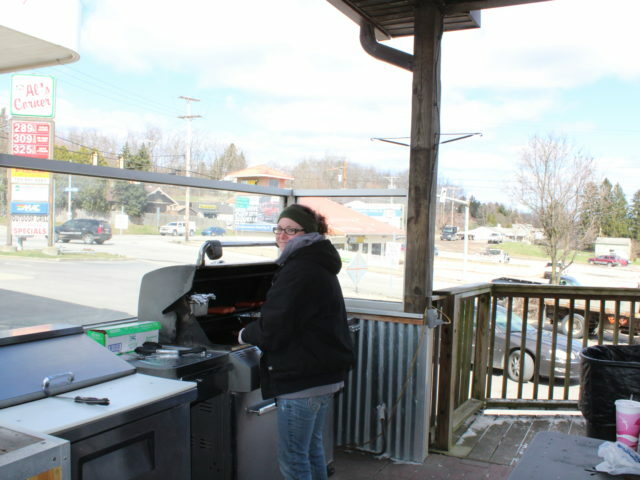 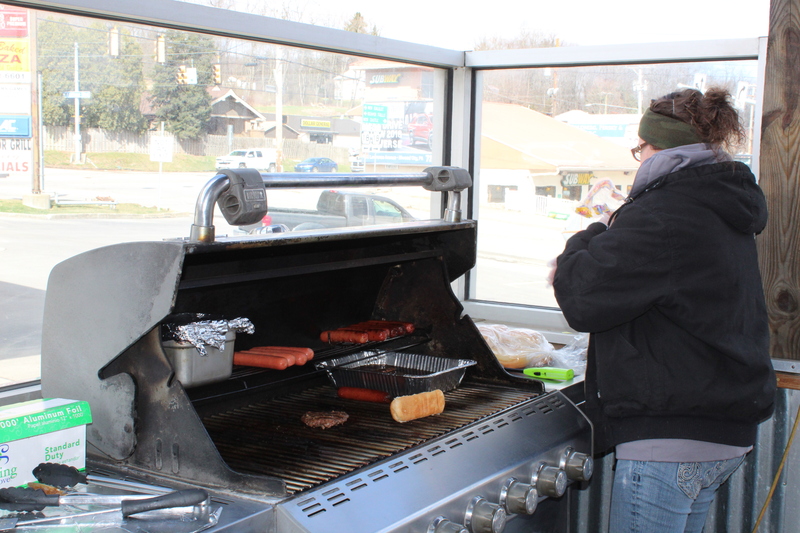 (Koppel, Pa.) Beaver County Radio hosted its annual Pittsburgh Pirates home opener tailgate party on the road this year at Al’s Corner in Koppel. 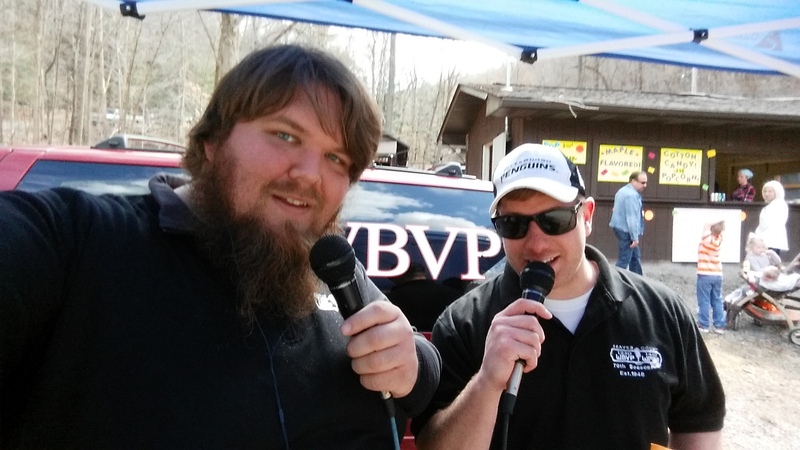 Beaver County Radio’s Frank Sparks, Matt Drzik and Greg Benedetti hosted the festivities. 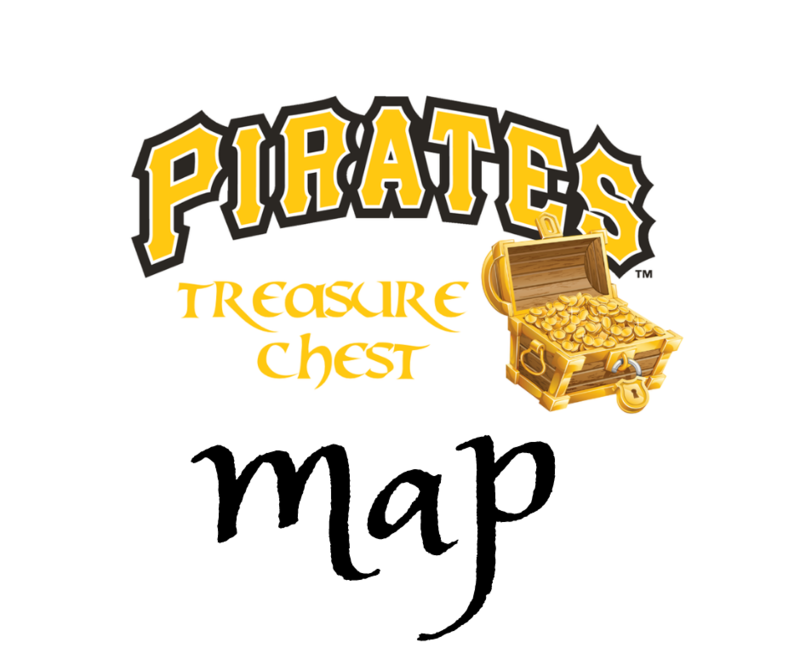 The guys talked about the Pirates and what they are thinking the 2019 Pirates’ weakness and strengths will be. 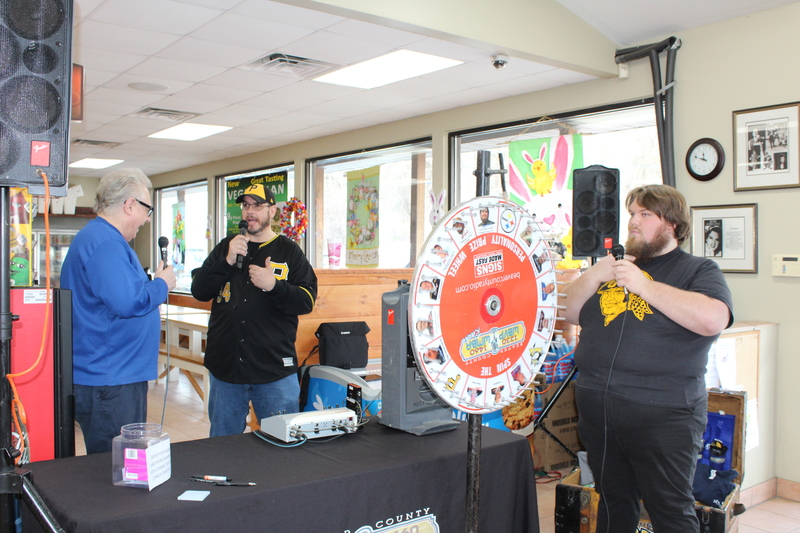 The guys also gave there predictions for the season and if the Pirates will make the play-offs or not. 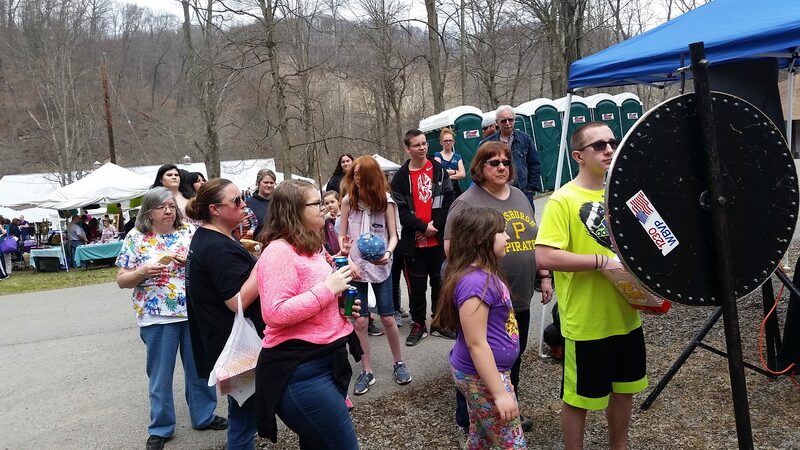 The tailgate party also marked the debut of the Beaver County Radio Pirates Treasure Chest that will be making appearances throughout the area this season at local sponsor’s businesses. 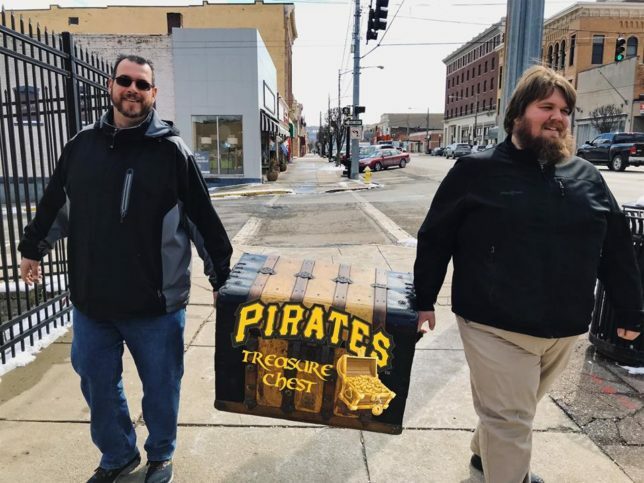 The chest is filled with all kinds of goodies from our sponsor businesses also Pirates memorabilia, gift cards, and even Pirates tickets on occasion. 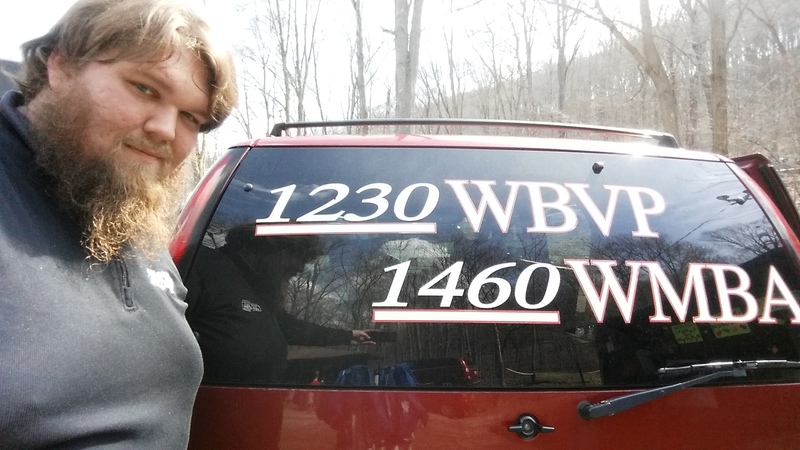 Click on the treasure map below to see where the treasure chest will make its next appearance….. Frank talked with Rachel about Al’s corner on the air on Beaver County Radio and also after the Live broadcast was over Frank and Rachel took a virtual tour on Facebook Live on the WBVP and WMBA Facebook page . 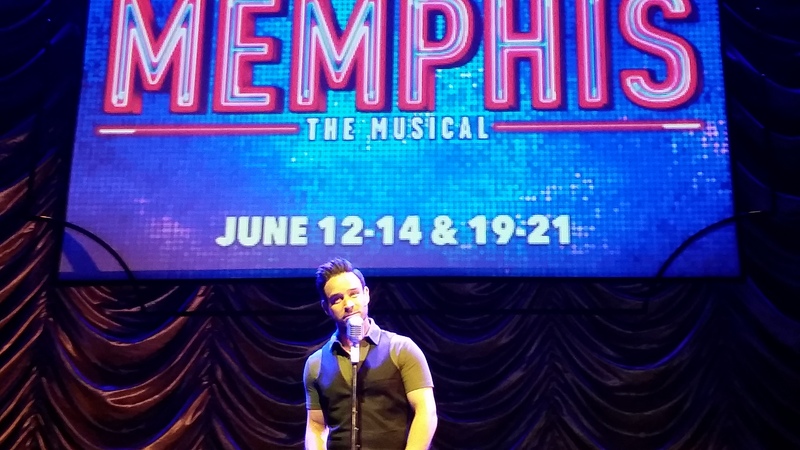 You can see the video by pressing the play button below….. 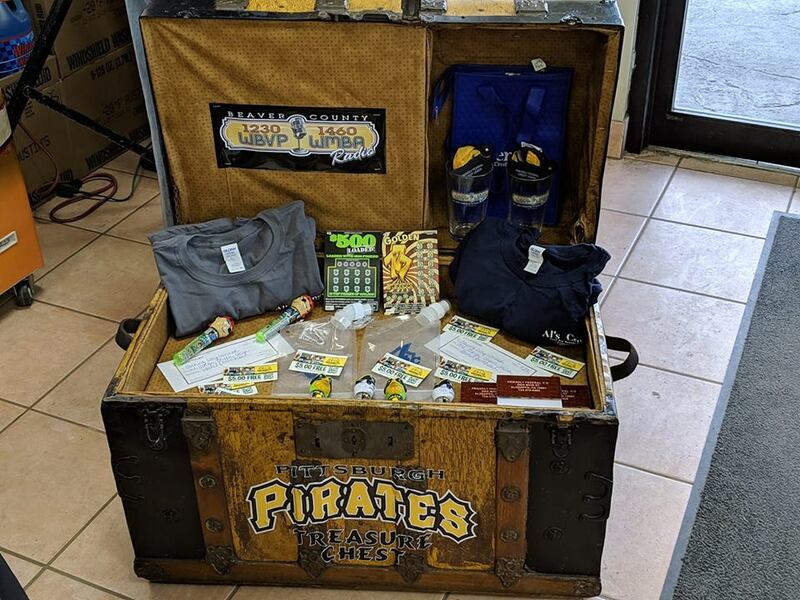 The Treasure Chest will make another appearance at Al’s corner on Friday June 21, 2019. 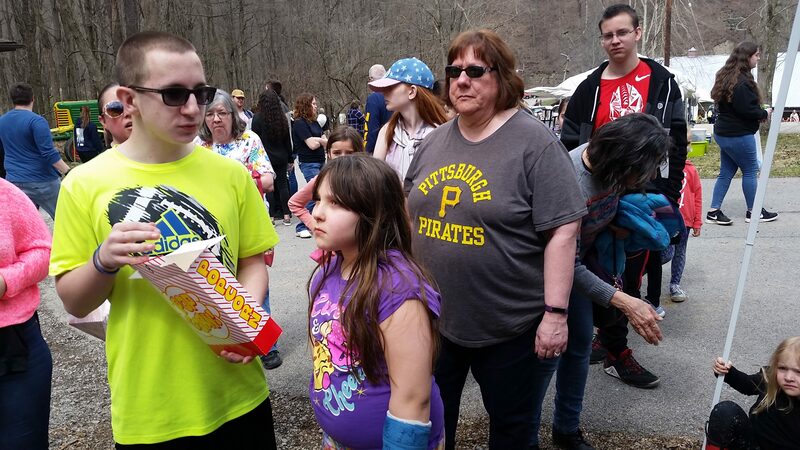 In the meantime check out all of the photos below of the fun from today’s broadcast!!!!! 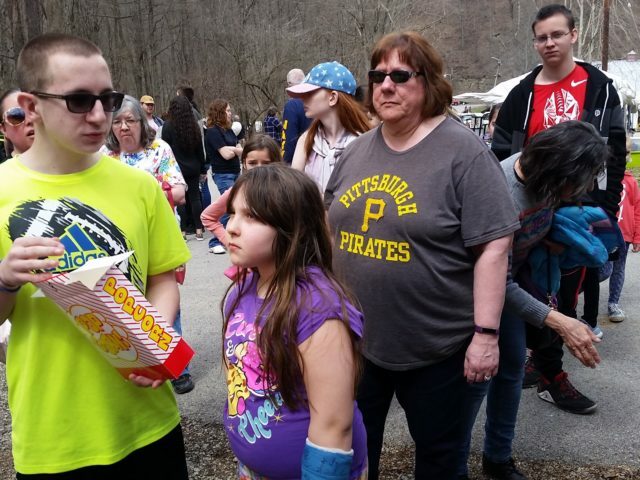 Beaver County Radio Pirates Treasure Chest to make it’s debut Monday April 1, 2019. 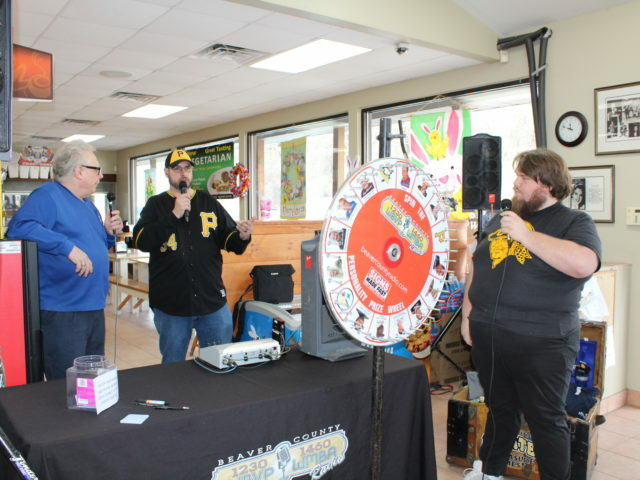 (Beaver Falls, Pa.) Beaver County Radio will debut it’s brand new Pittsburgh Pirates Treasure Chest on Monday April 1, 2019 at Al’s Corner in Koppel from 11 a.m. to 1 p.m..
Stop out and join Frank Sparks, Host of Teleforum, Matt Drzik, Host of A.M. Beaver County and co-host of the Saturday Sports Slam, and Greg Benedetti, co-host of the Saturday Sports Slam and talk Pirates Baseball as the guys host their annual tailgate party on the road this year in honor of the Pirates home opener Monday afternoon. 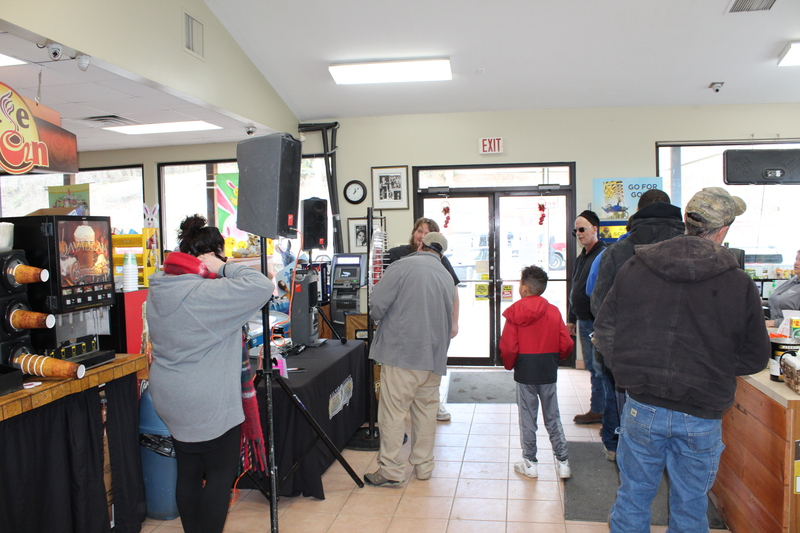 Listen for clues on the air and Facebook during the broadcast on how you can can get your chance to open the treasure chest and pick prize. 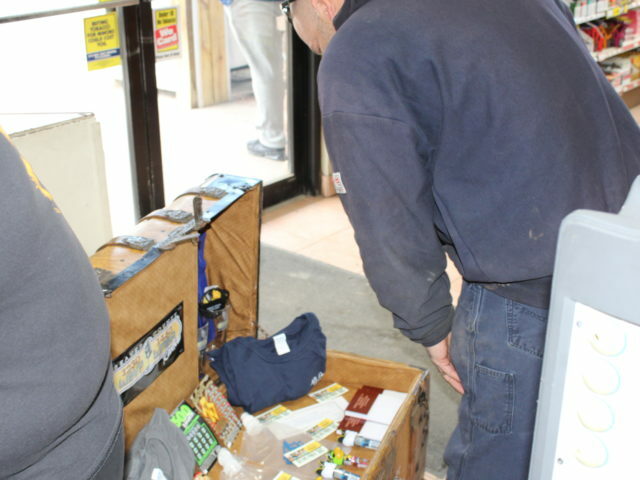 You never know what treasures are in the chest. 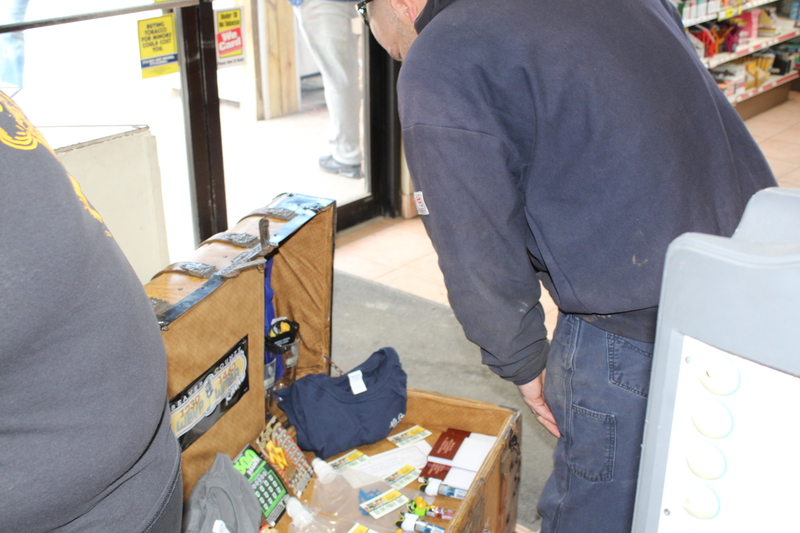 You could win Pirates memorabilia, gift cards to different businesses, or maybe even some Pirates Tickets. 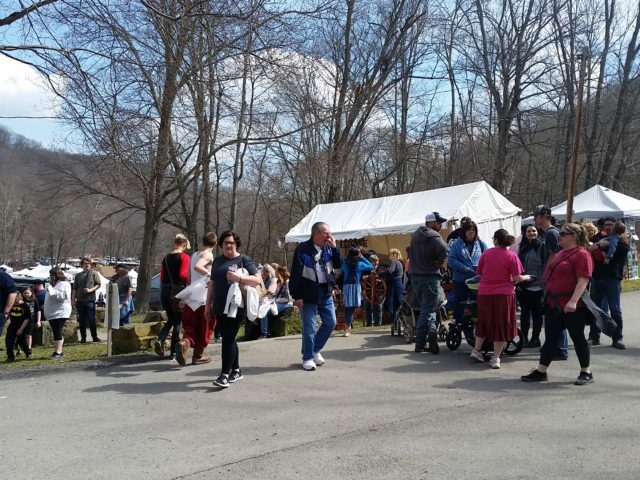 AUDIO: The 42nd Maple Syrup Festival Is Two Weekends Away! 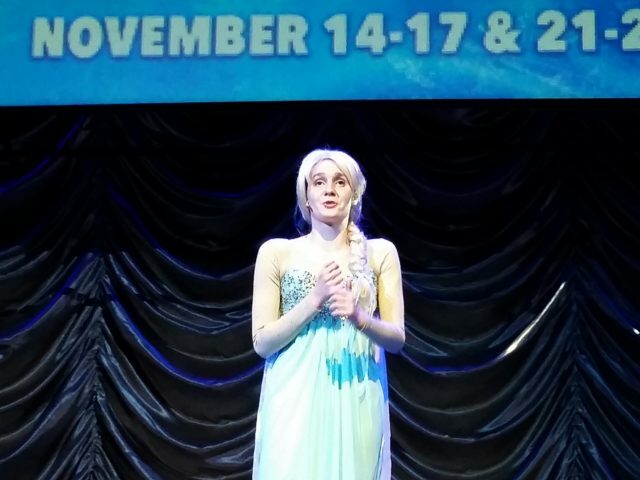 You can feel it in the air. 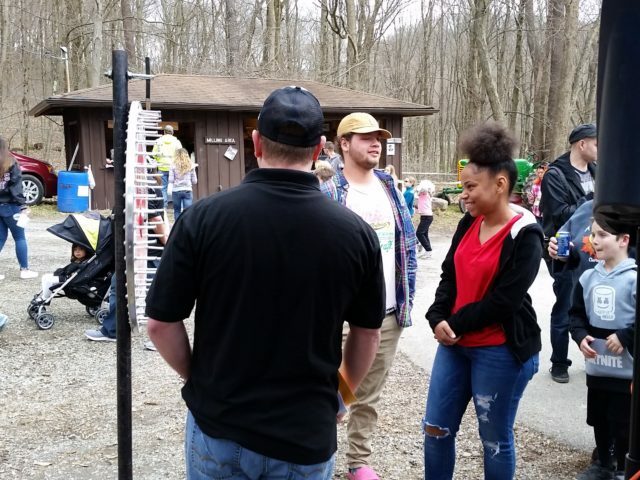 You can see it on the calendar. 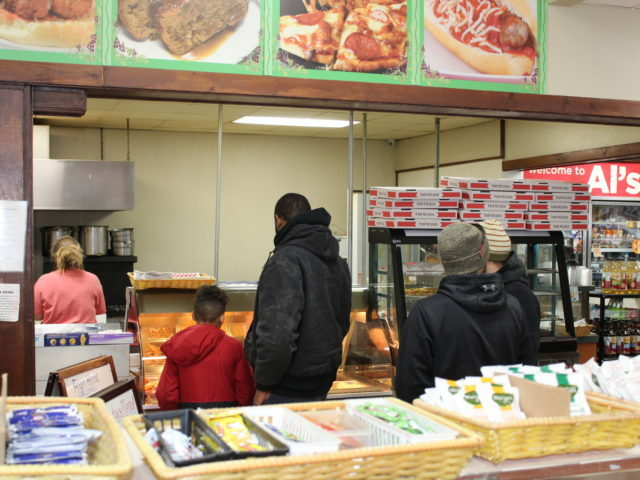 Heck, you can probably taste it in your mind. 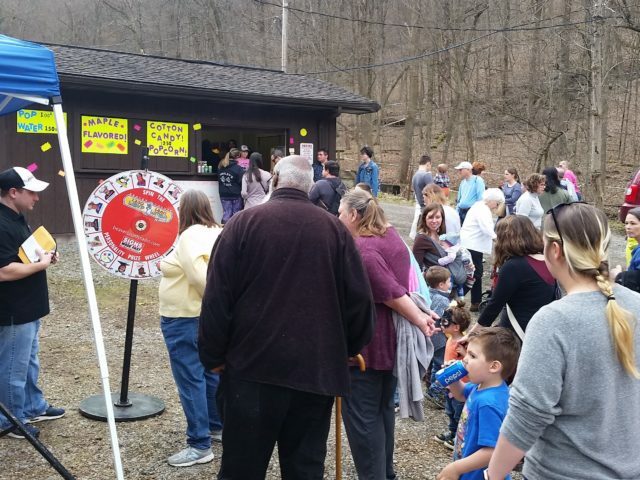 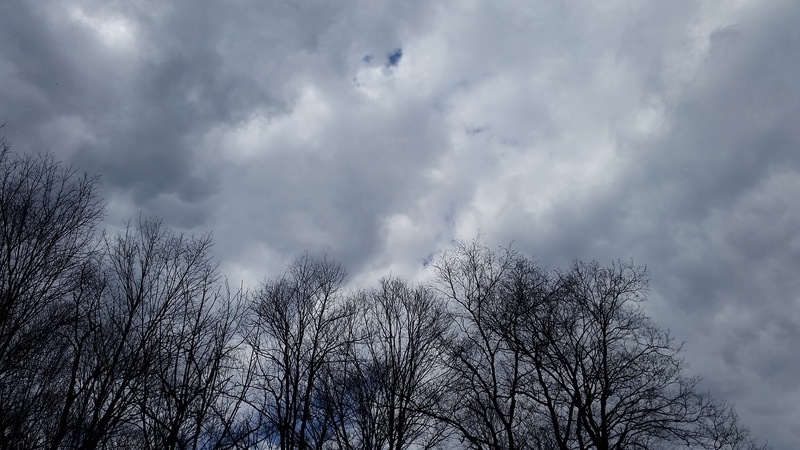 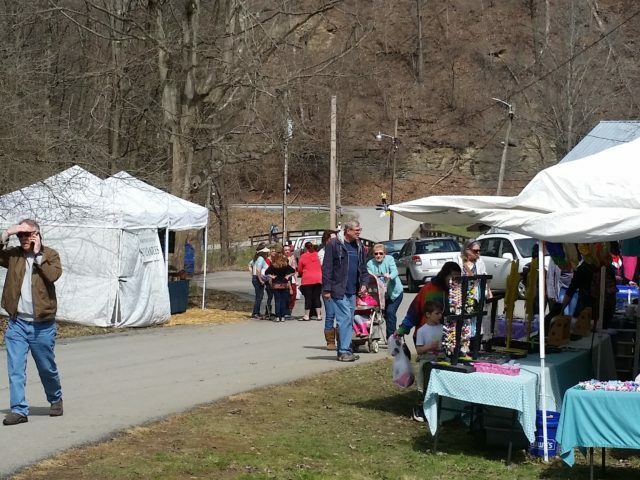 As has been tradition for over four decades now, the arrival of Spring in Beaver County is joined by the arrival of the Maple Syrup Festival. 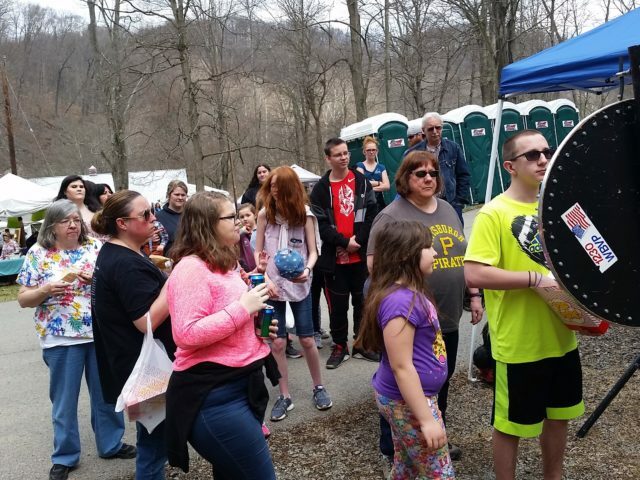 The tradition–of live entertainment, local craftsmen and vendors, as well as the delicious pancakes–is now in its 42nd year and set to commence on April 6-7 at Brady’s Run Lodge. 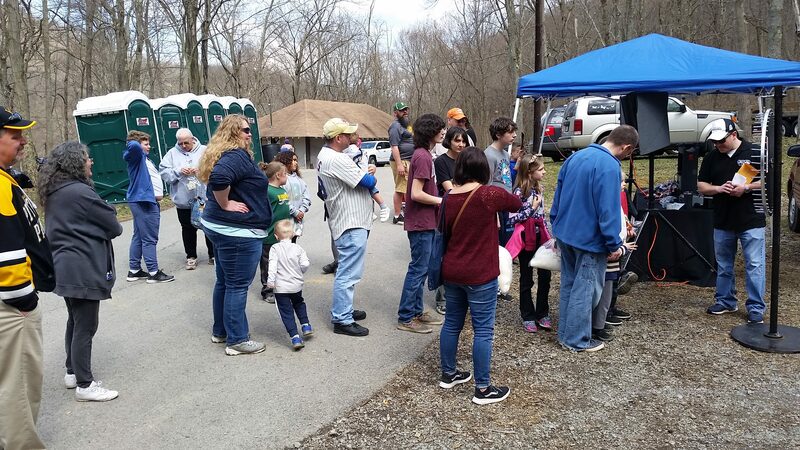 The 2019 Maple Syrup Festival is presented, as always, by the Beaver County Conservation District, and Director Jim Shaner joined Matt Drzik on A.M. Beaver County to break down what it takes to put the festival on, all of the events and aspects that county citizens have come to know and love, and the great cause of helping the Conservation District by attending the festival. 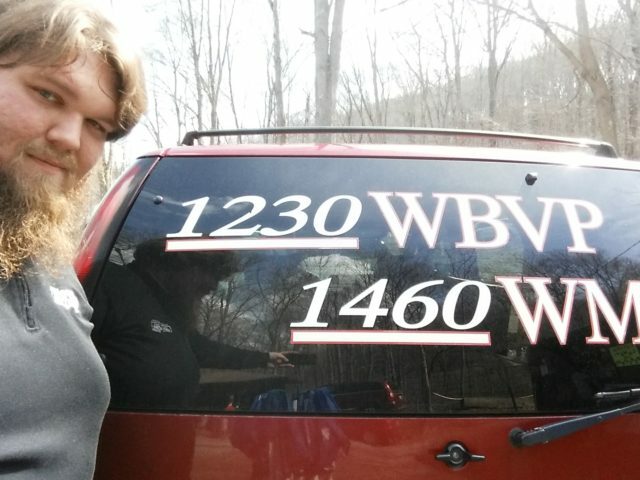 If you want to listen back to the interview, click the player below.